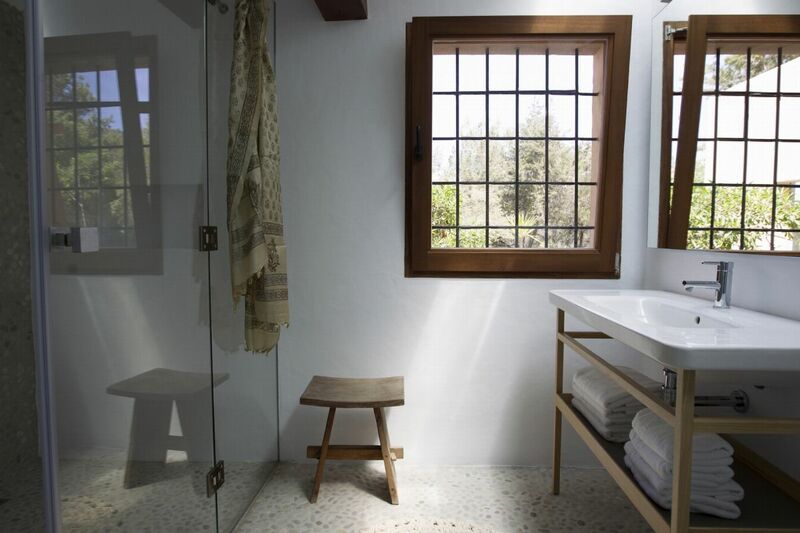 Change of towels every day. 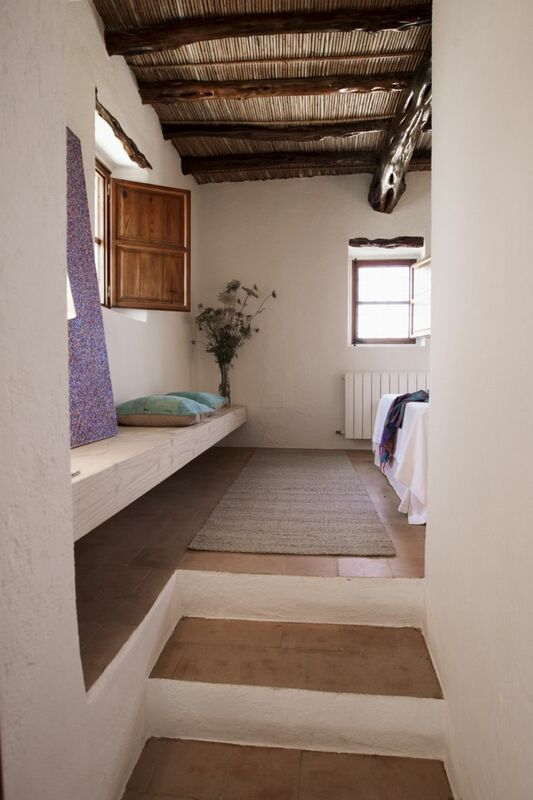 Change of bed linen on Wednesday (also Saturday if the rental is more than one week). 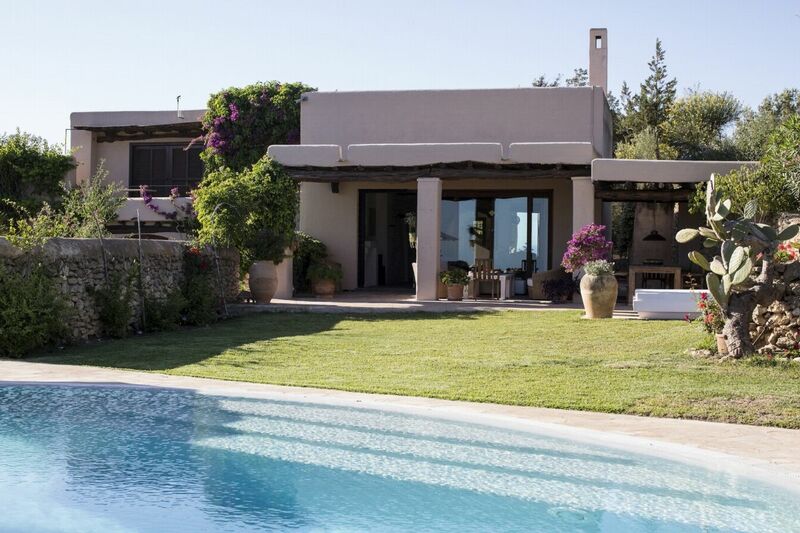 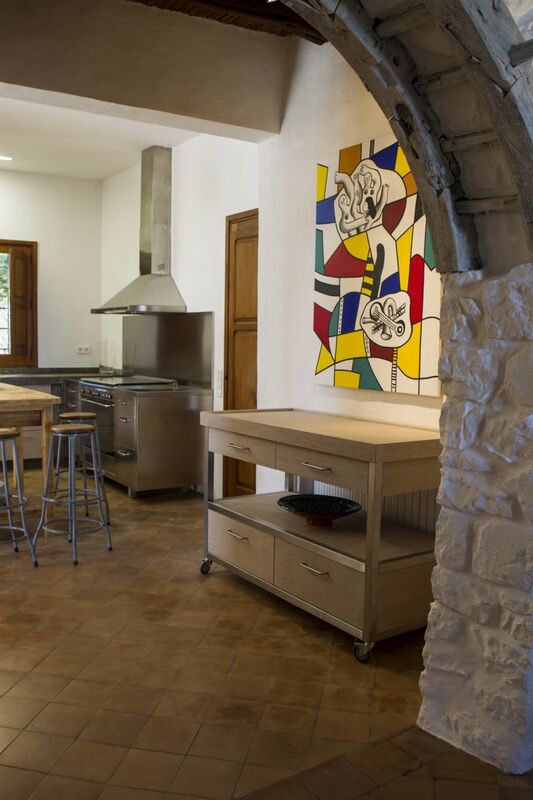 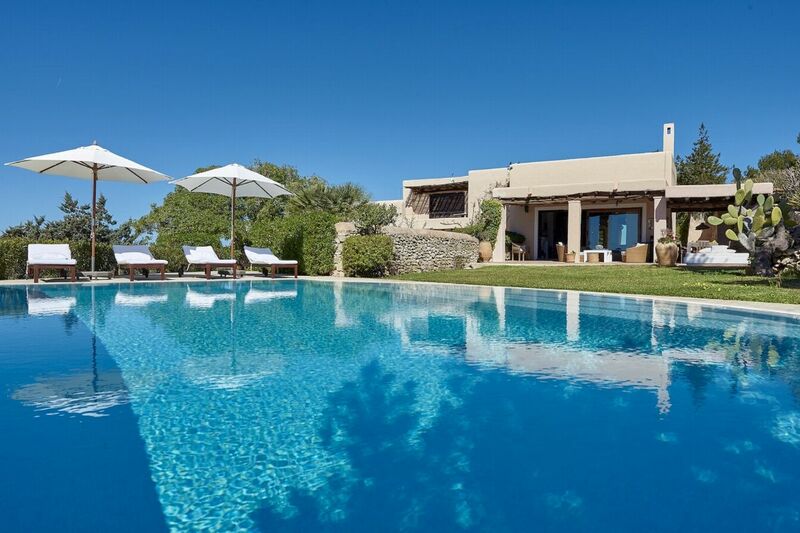 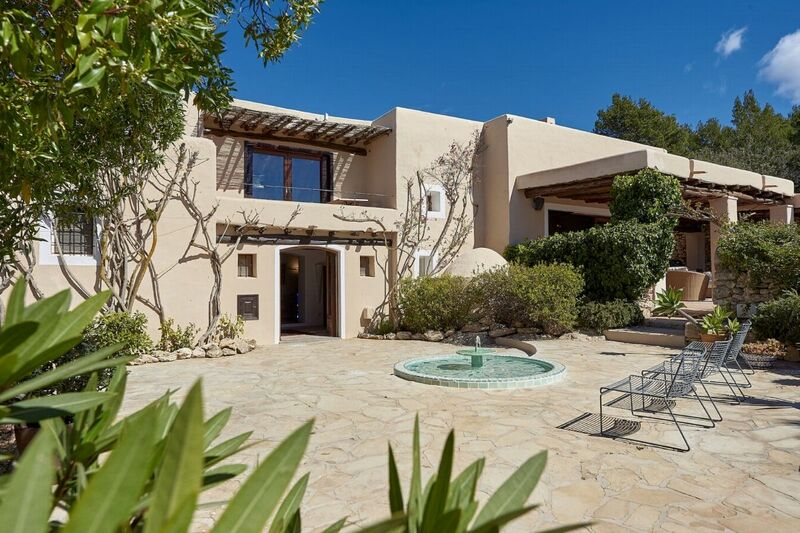 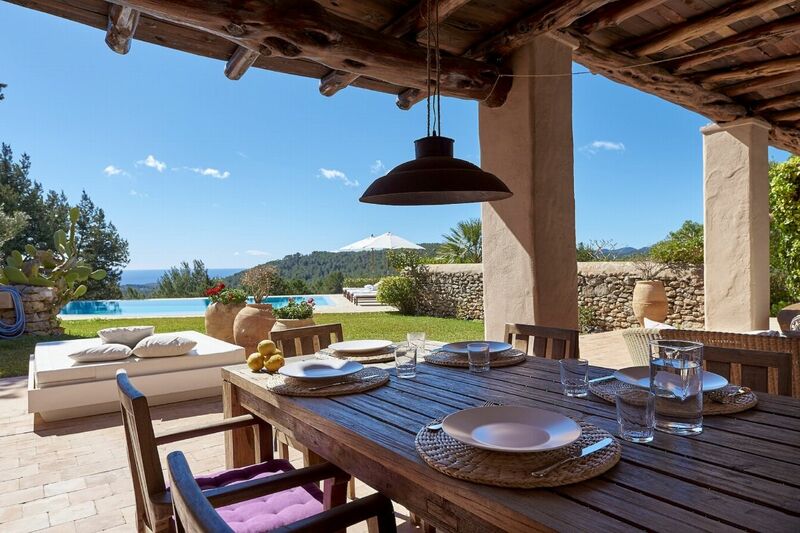 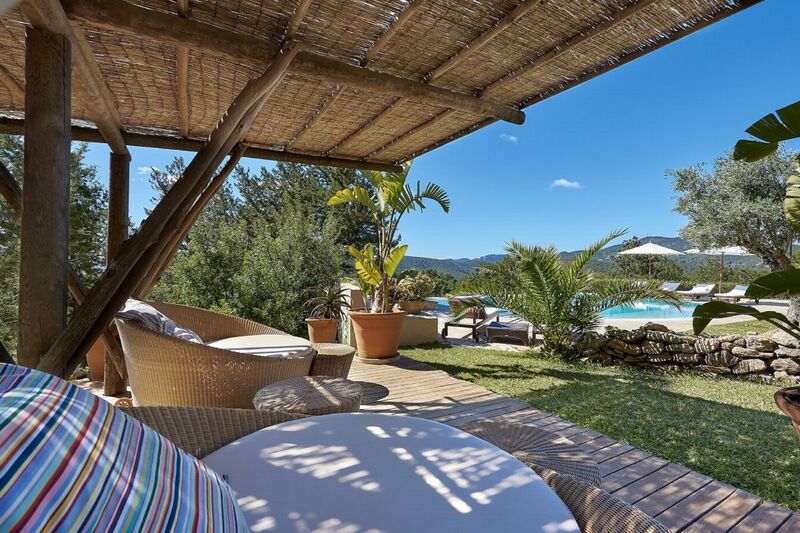 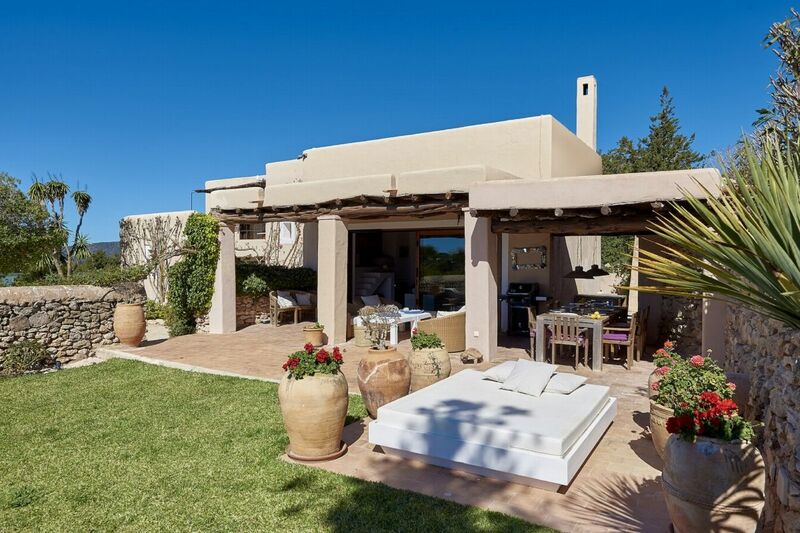 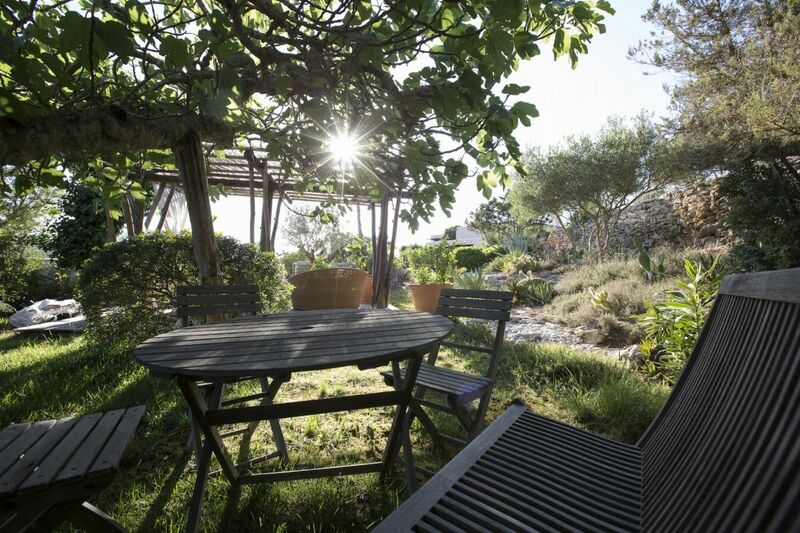 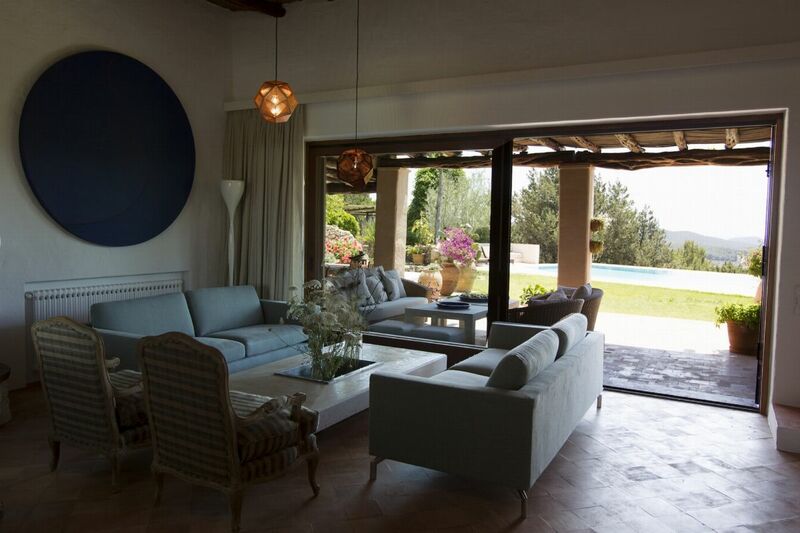 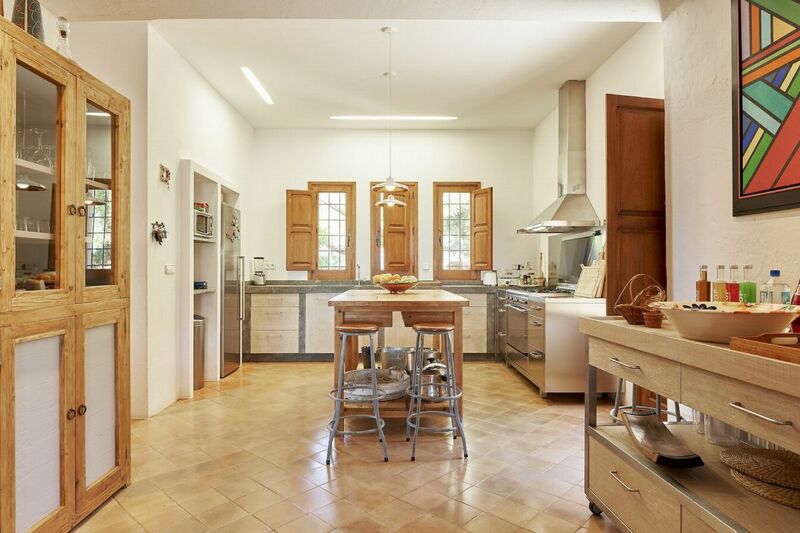 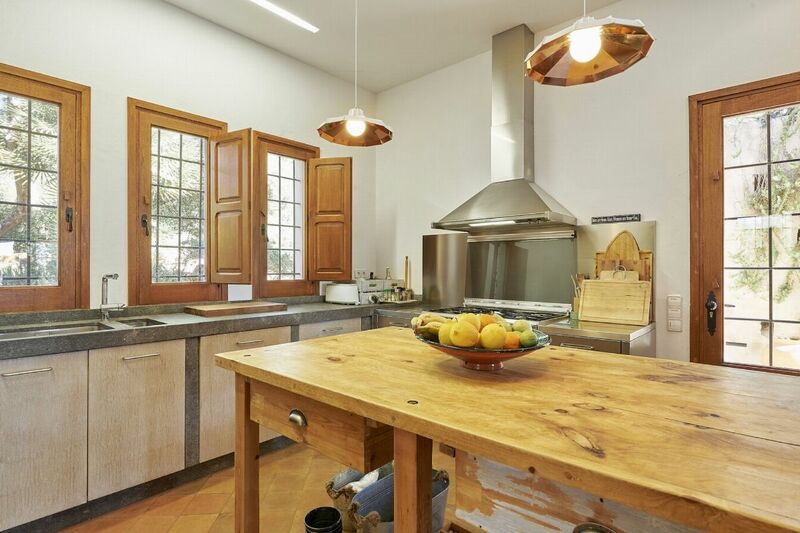 Modern finca set in 15,000m2 of private land with amazing views. 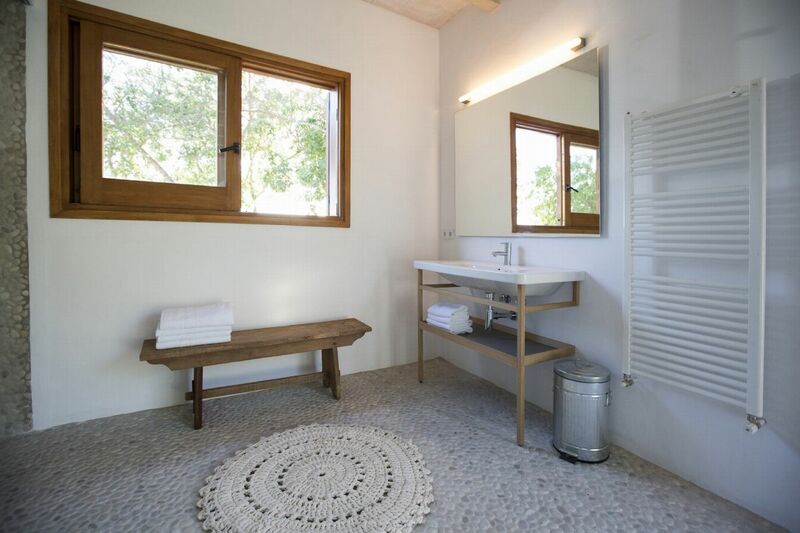 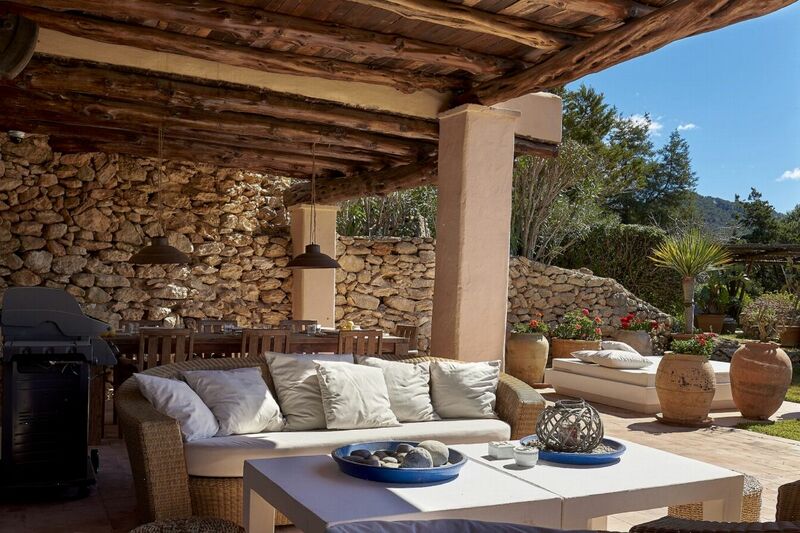 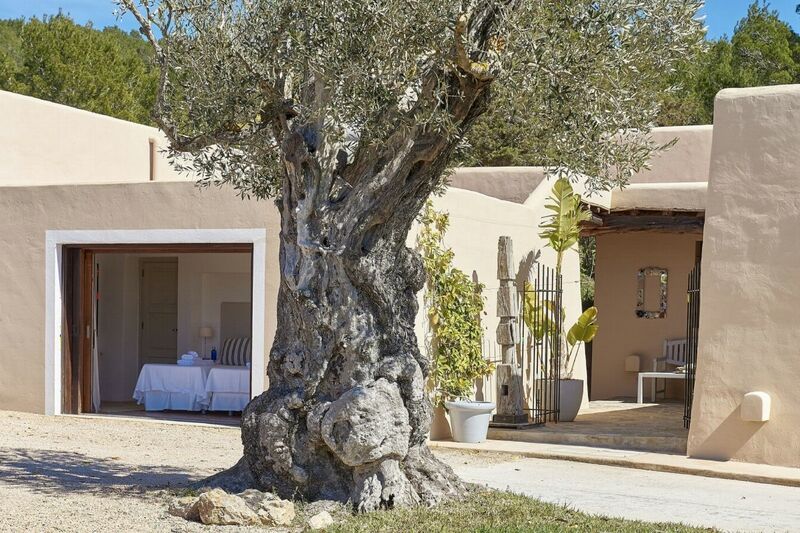 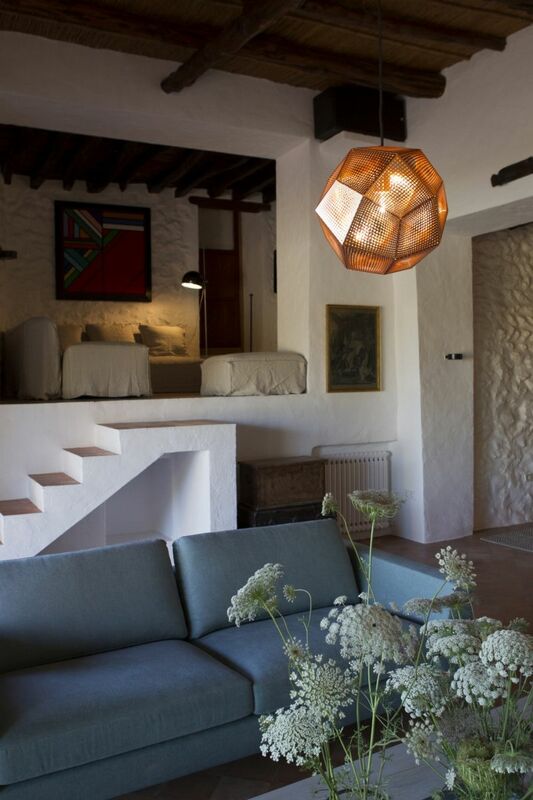 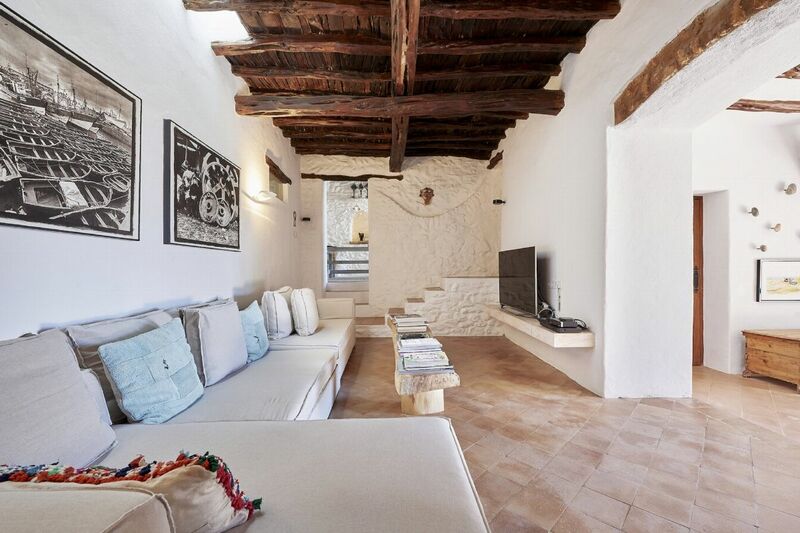 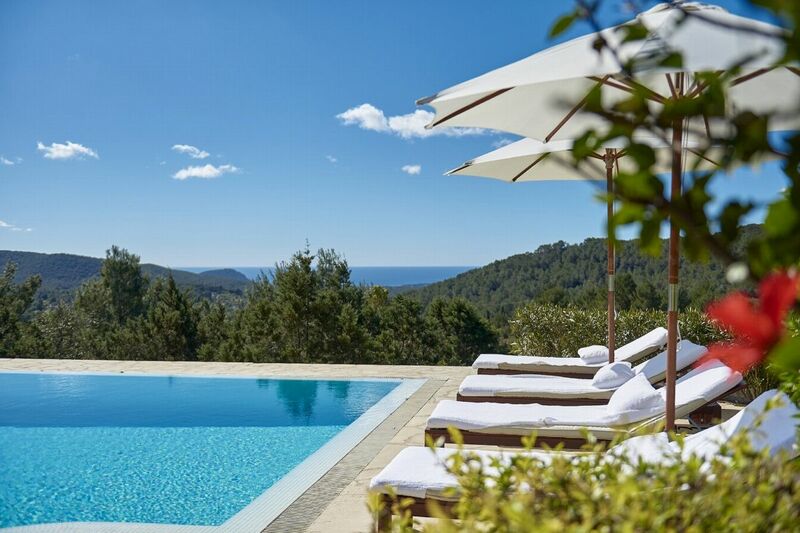 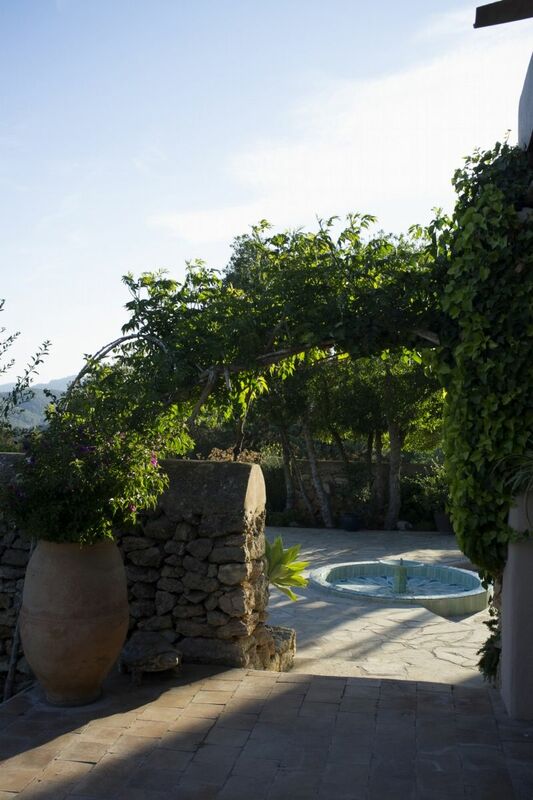 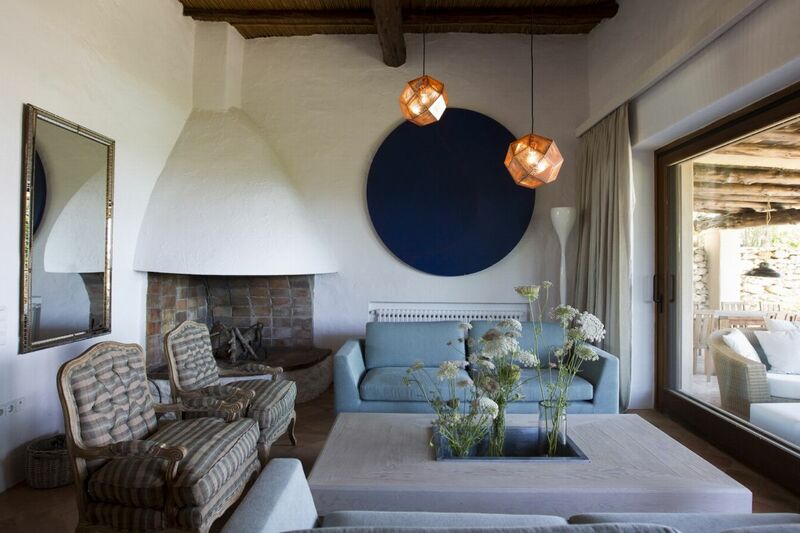 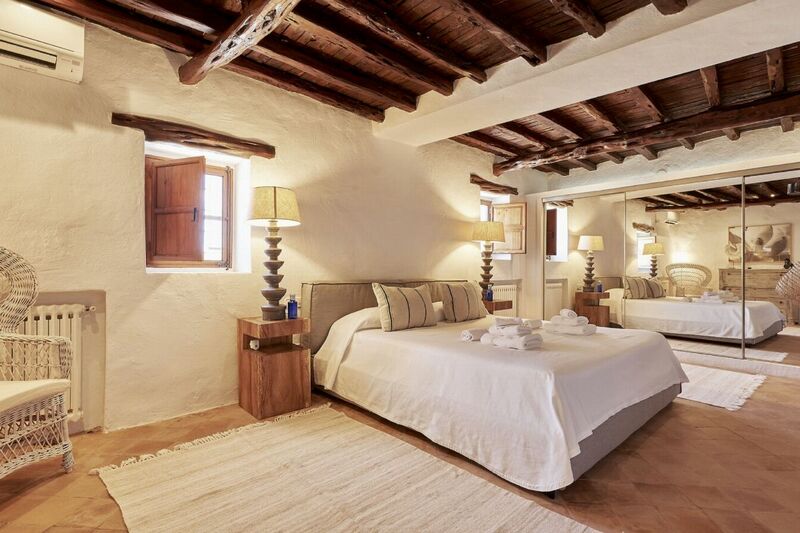 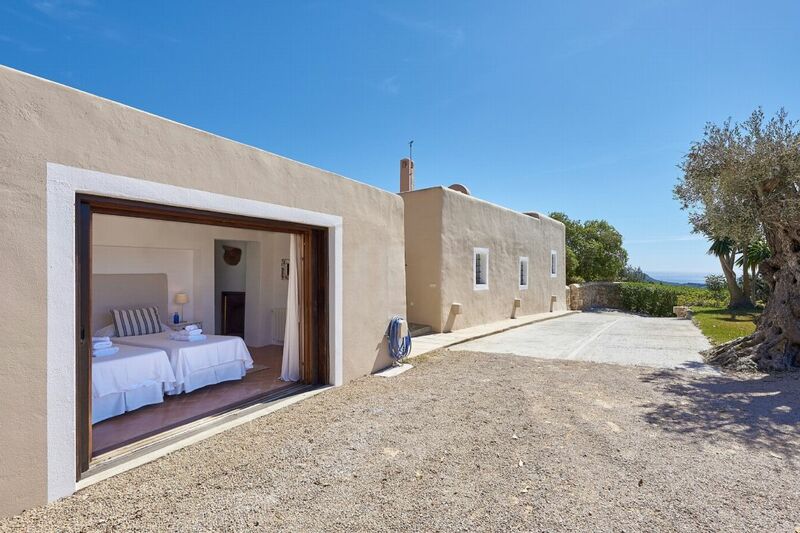 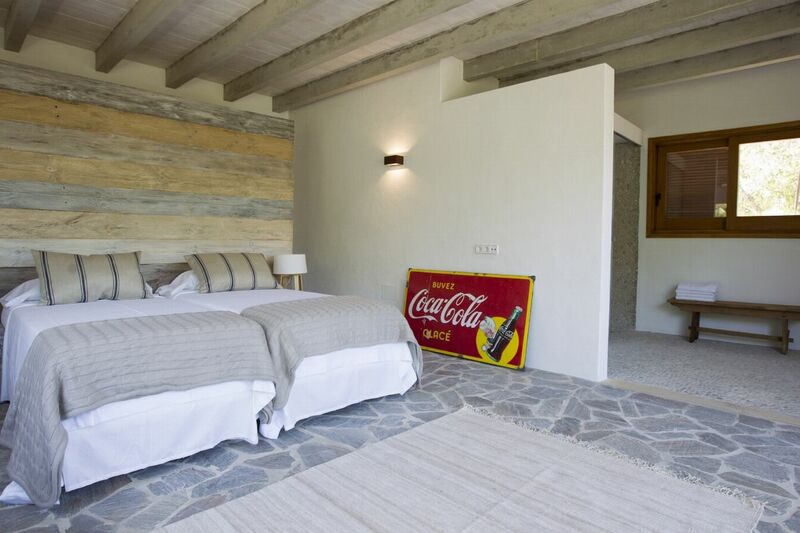 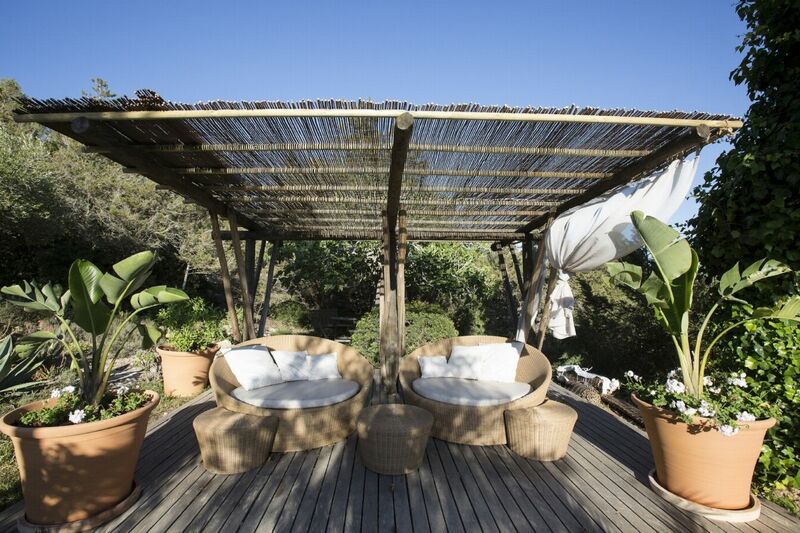 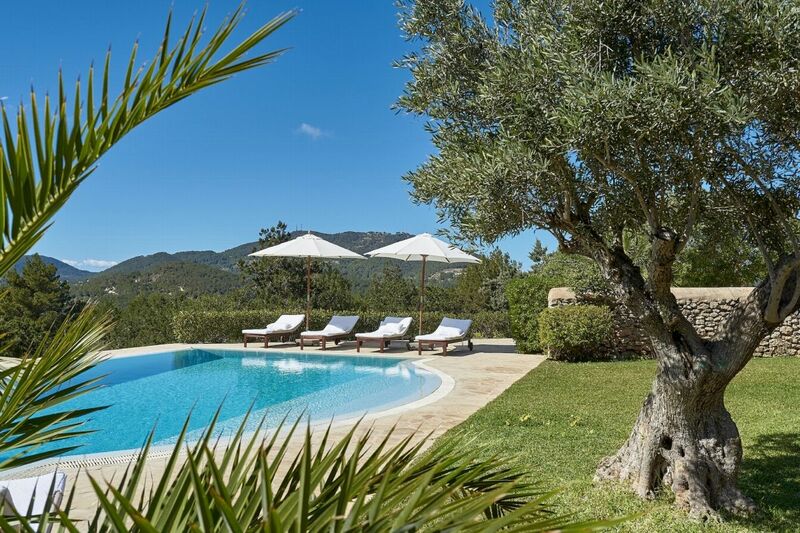 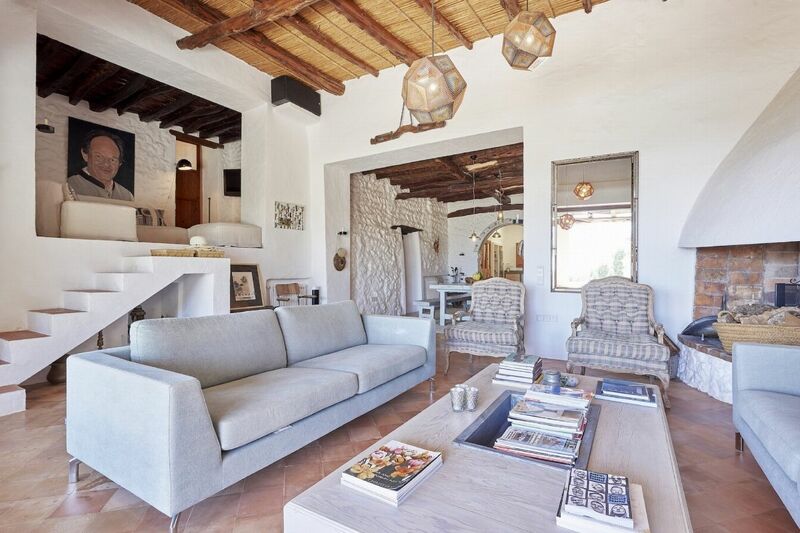 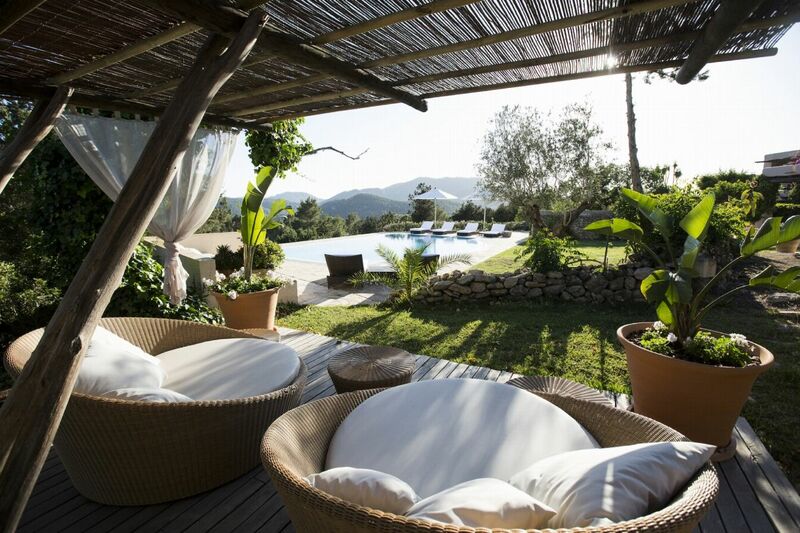 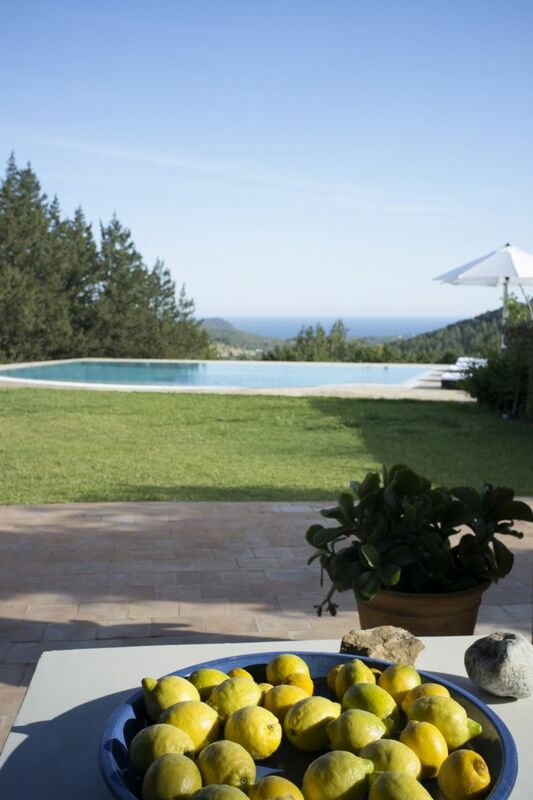 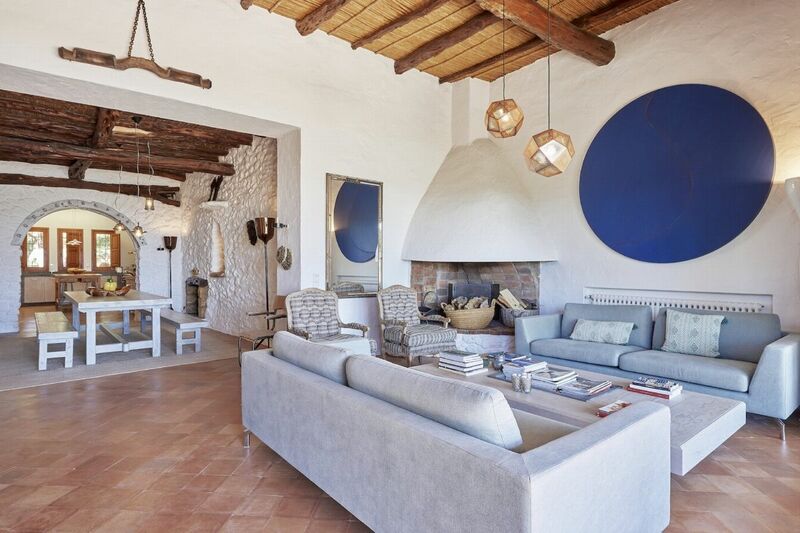 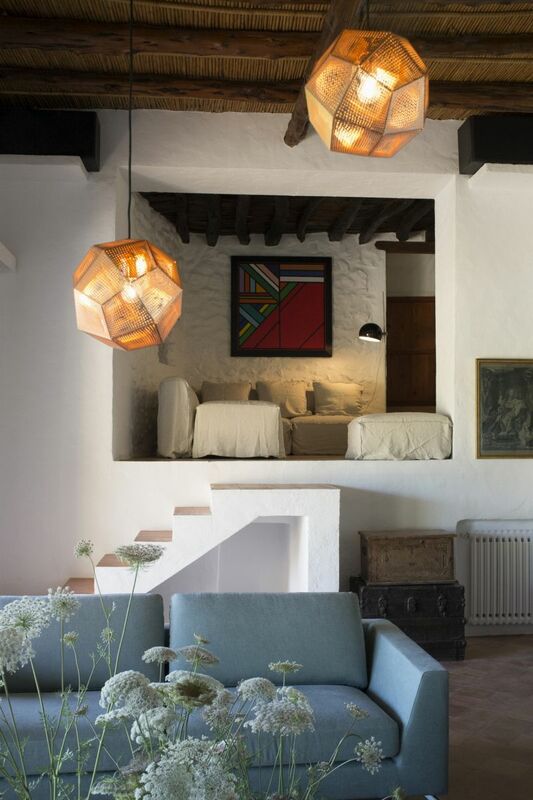 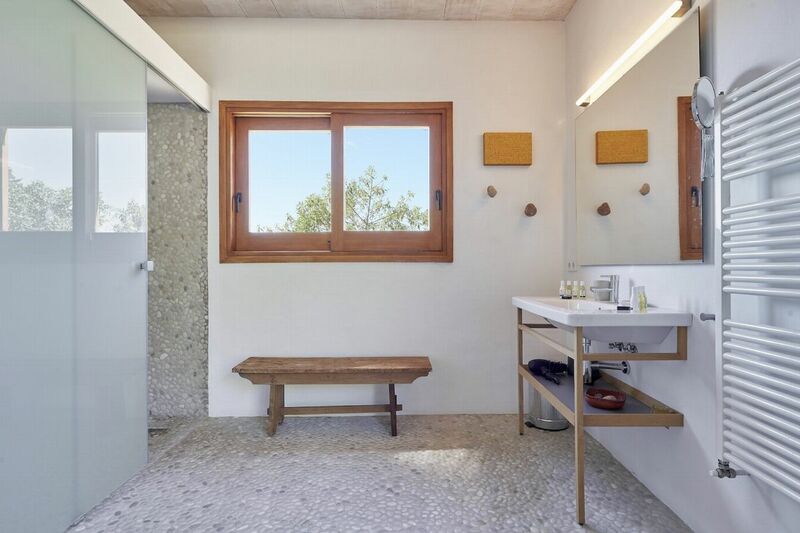 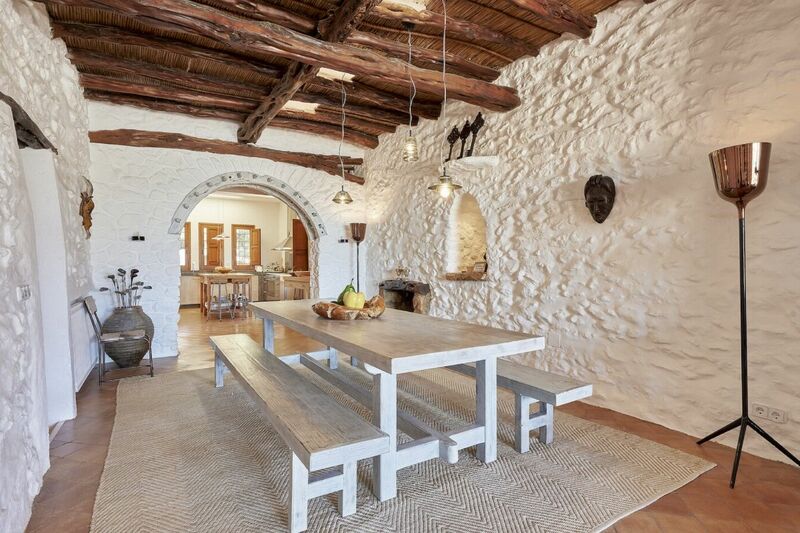 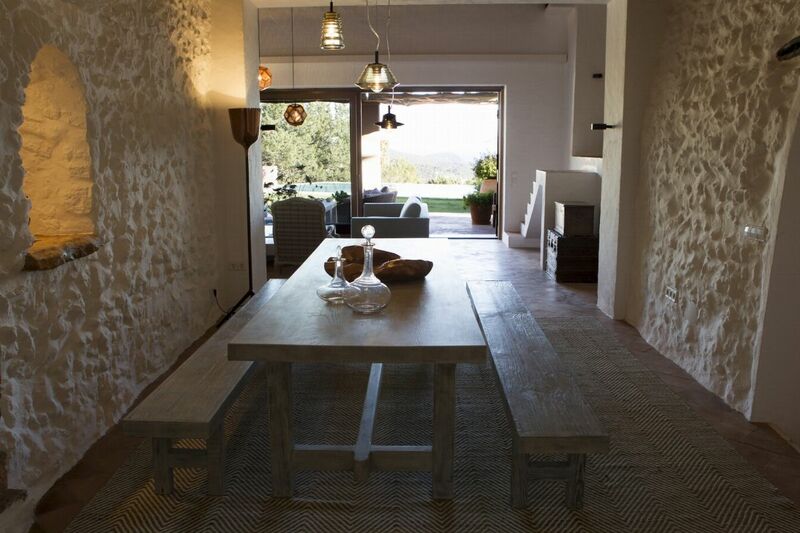 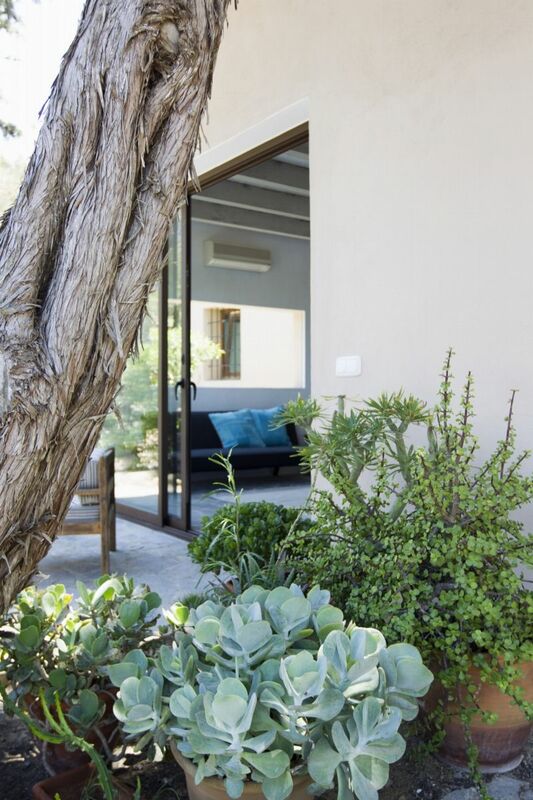 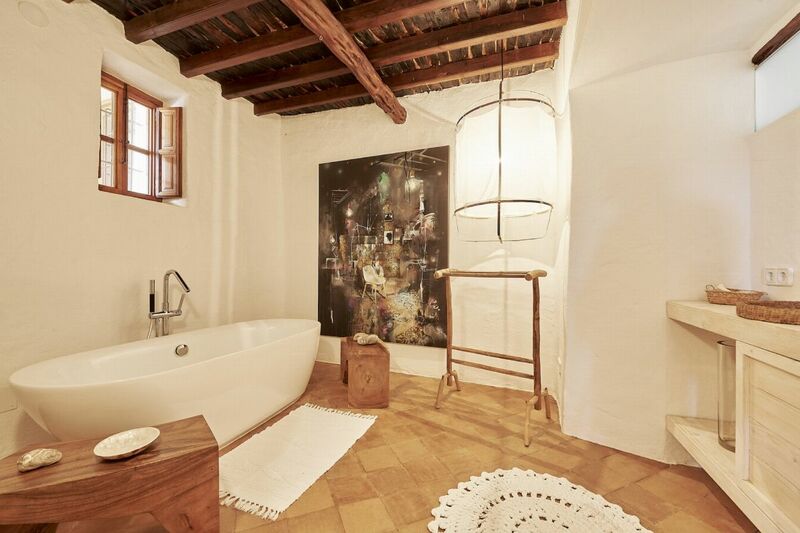 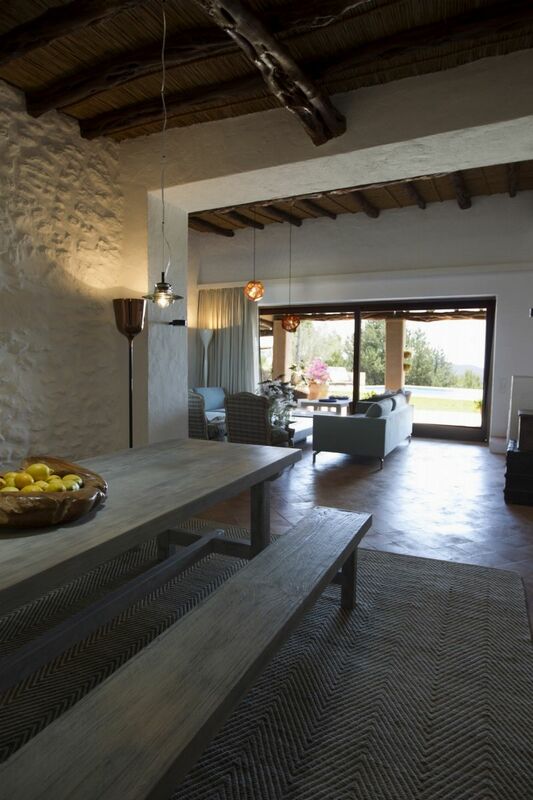 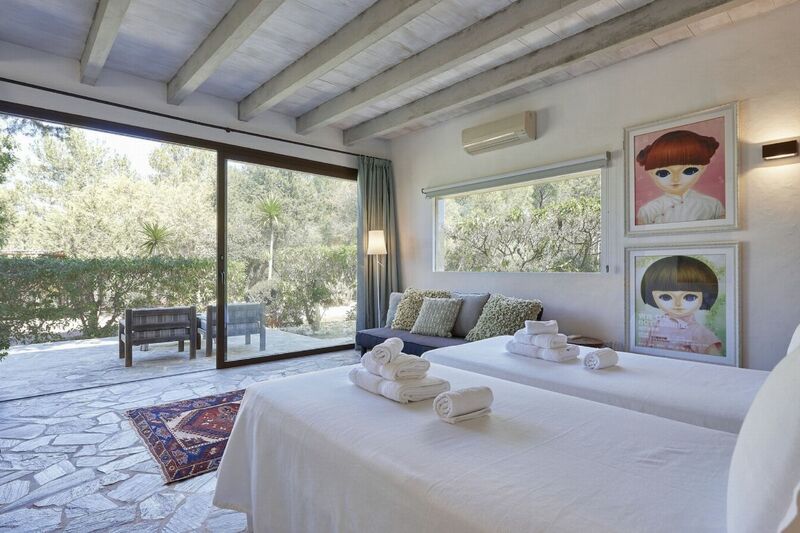 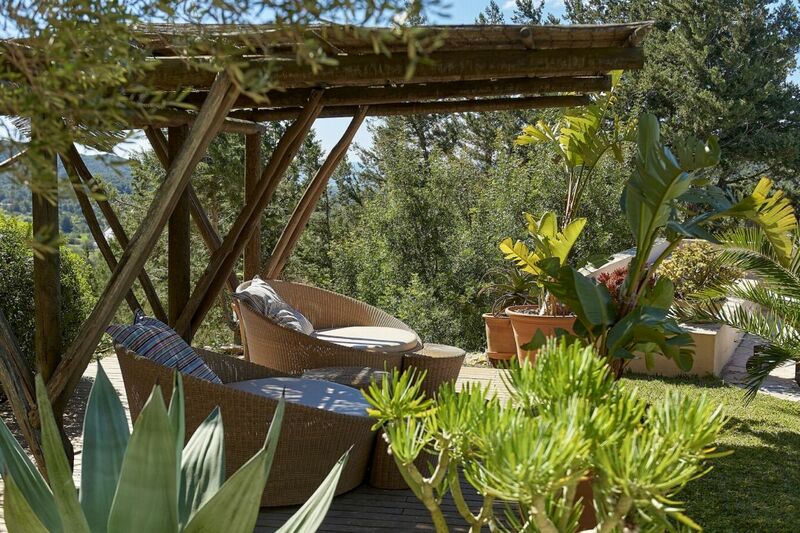 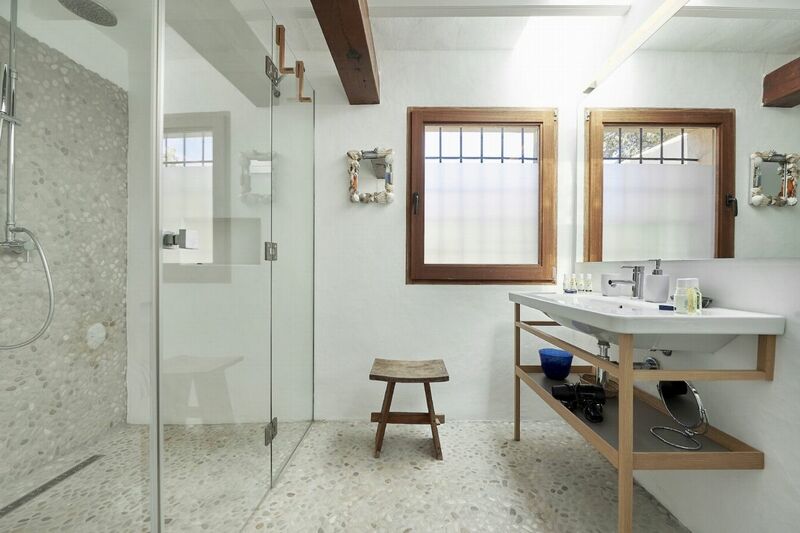 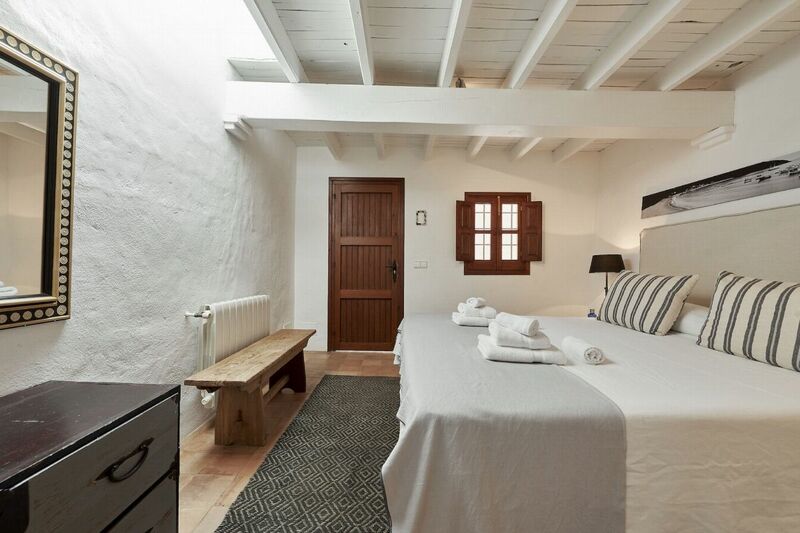 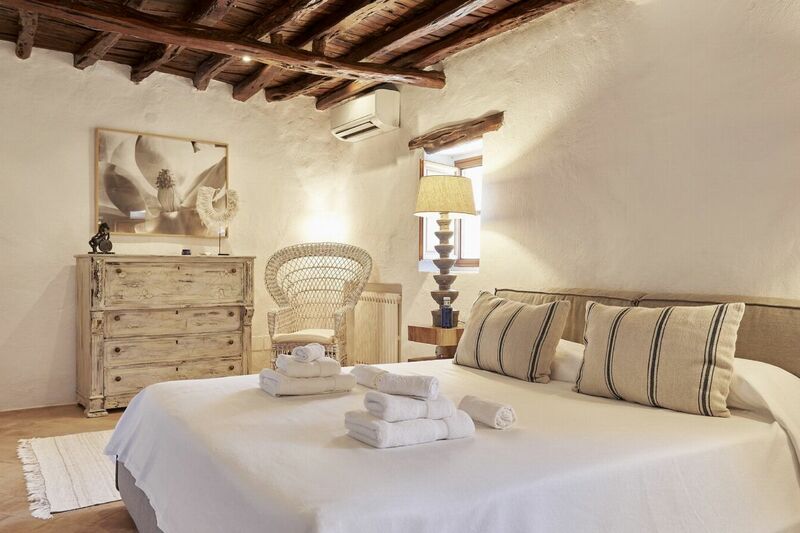 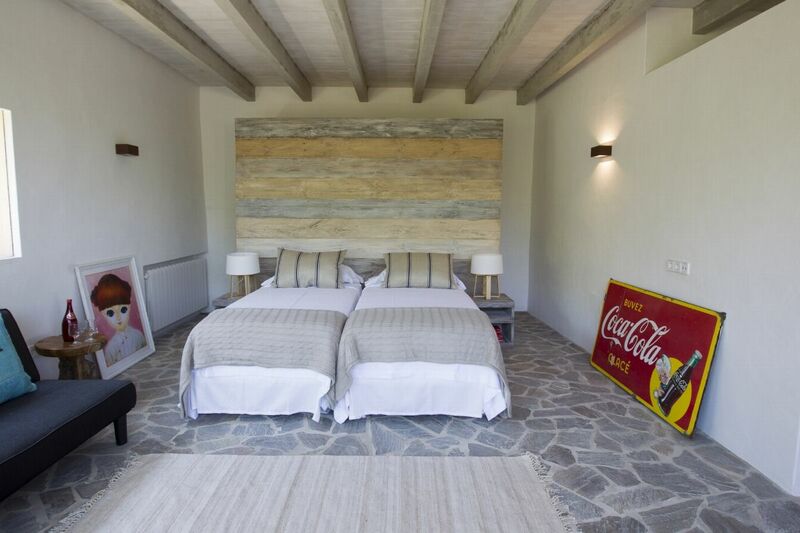 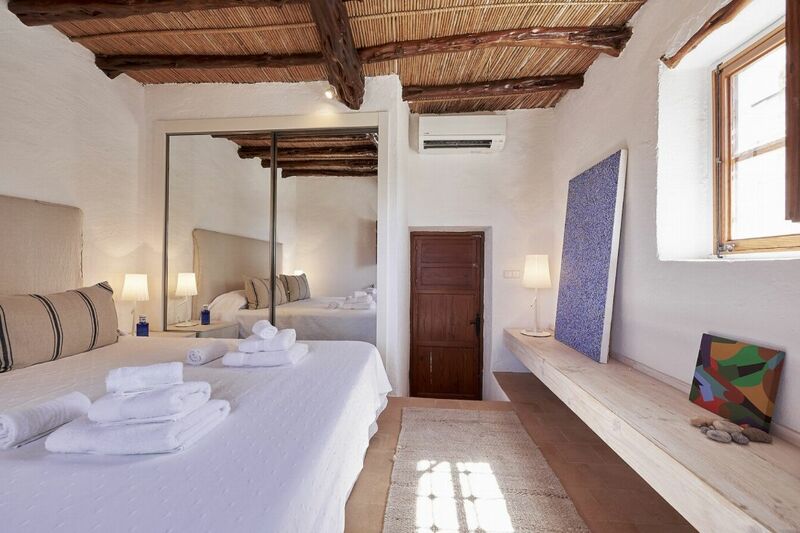 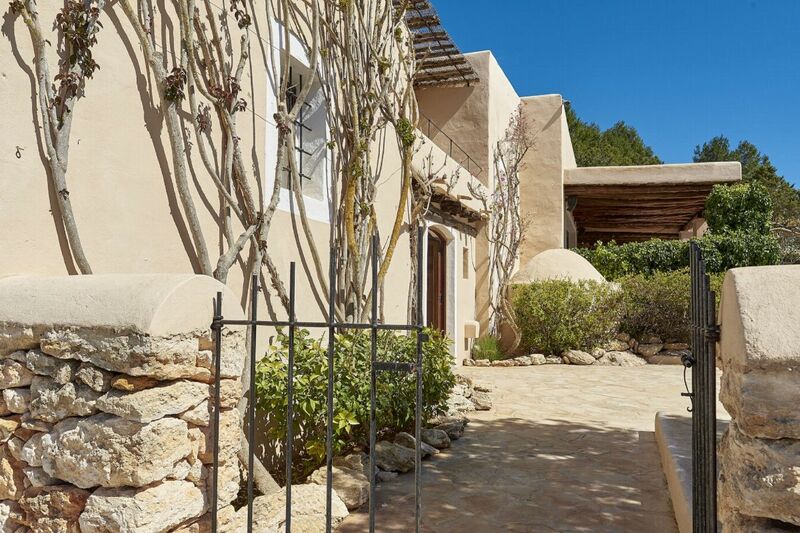 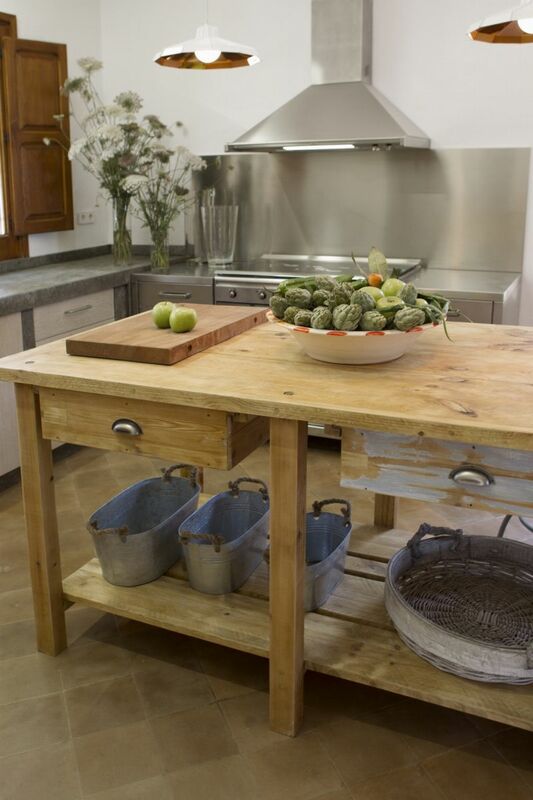 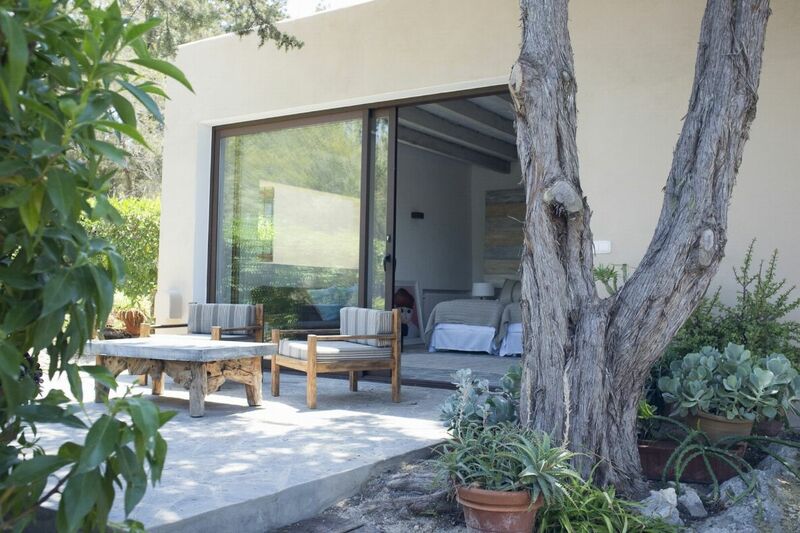 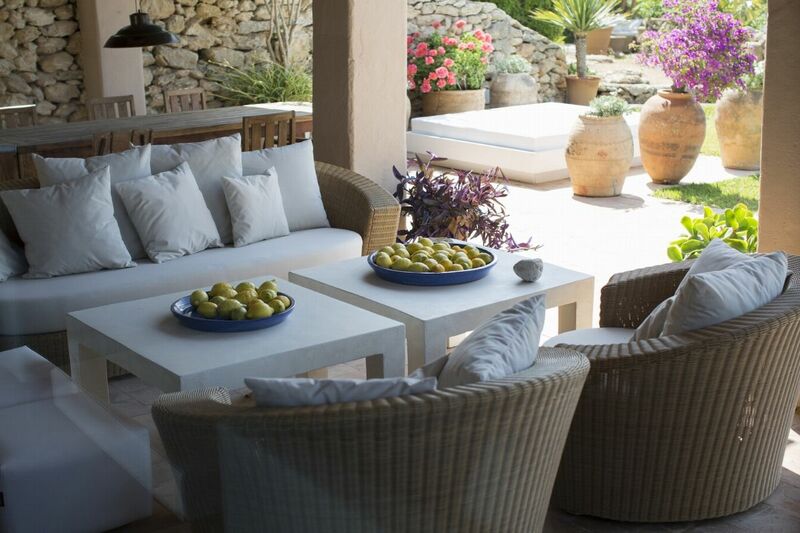 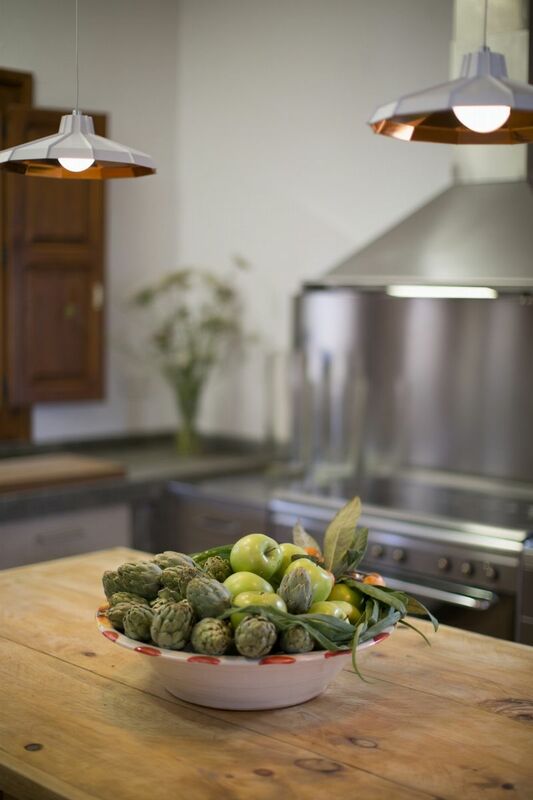 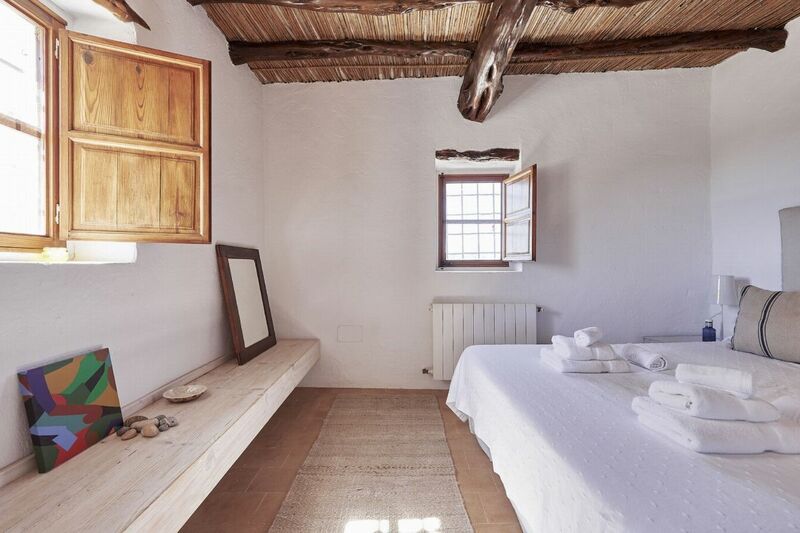 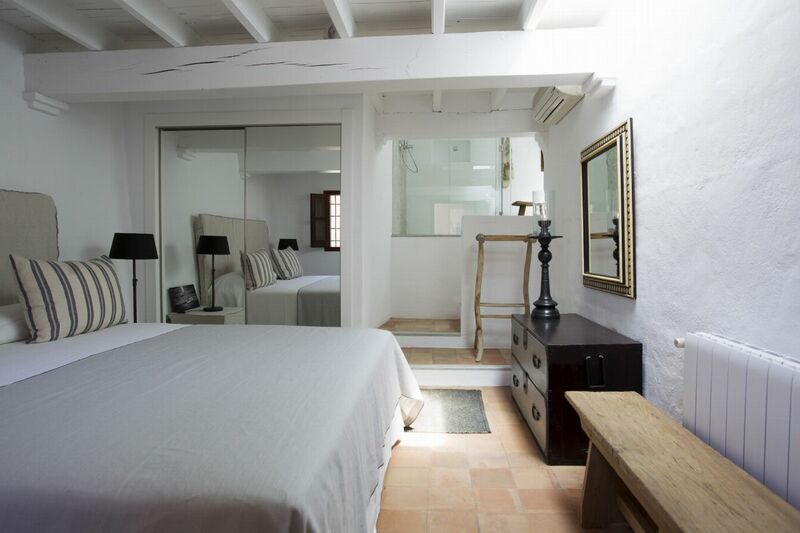 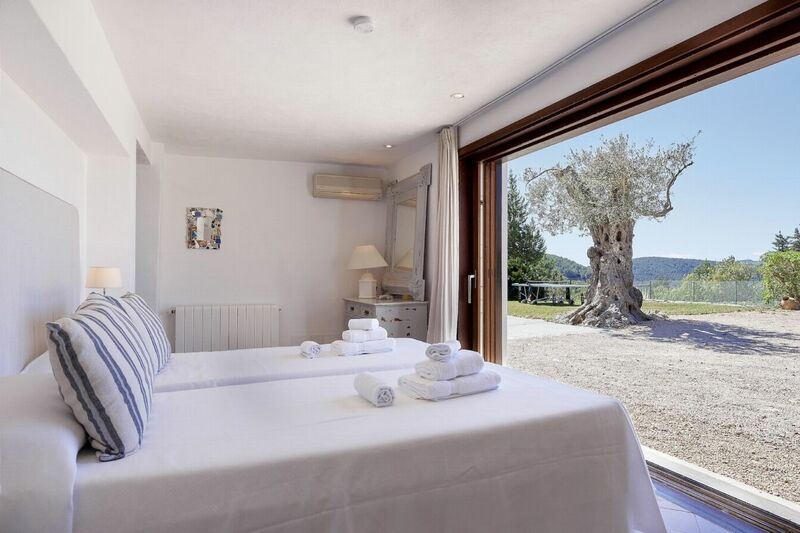 Rustic charm abounds in this mountain hideaway, located in a private, peaceful location with a get-away-from-it-all feel, youâ€™re just a short drive from Ibiza Town at Can Paola. 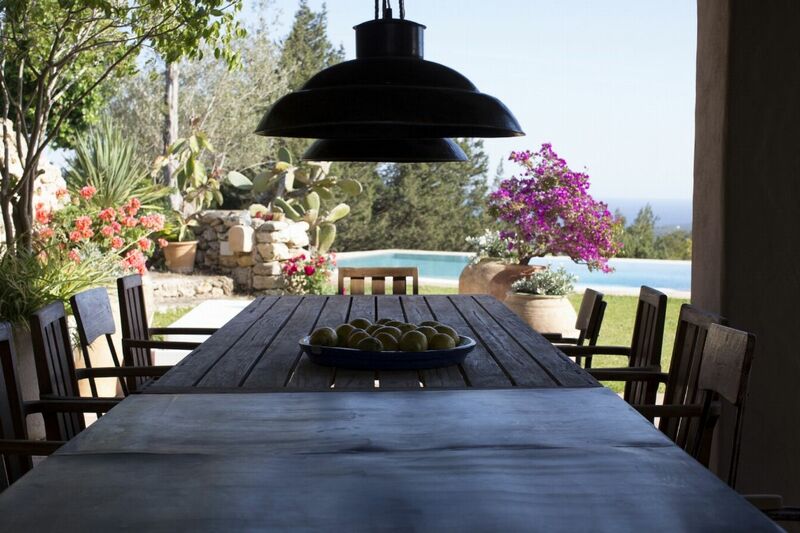 On the blue horizon, the Mediterranean twinkles enticingly. 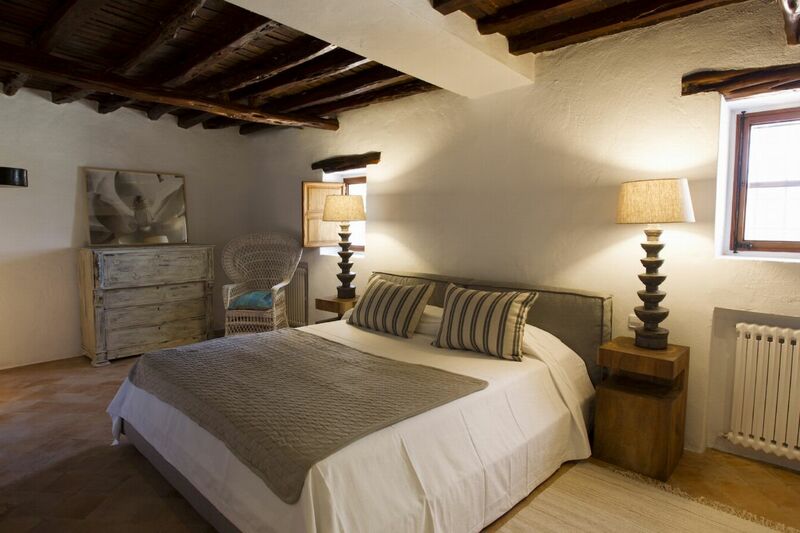 But here in the hillsides near San JosÃ©, this charming finca combines a serene and luxurious feel with authentic rustic detail. 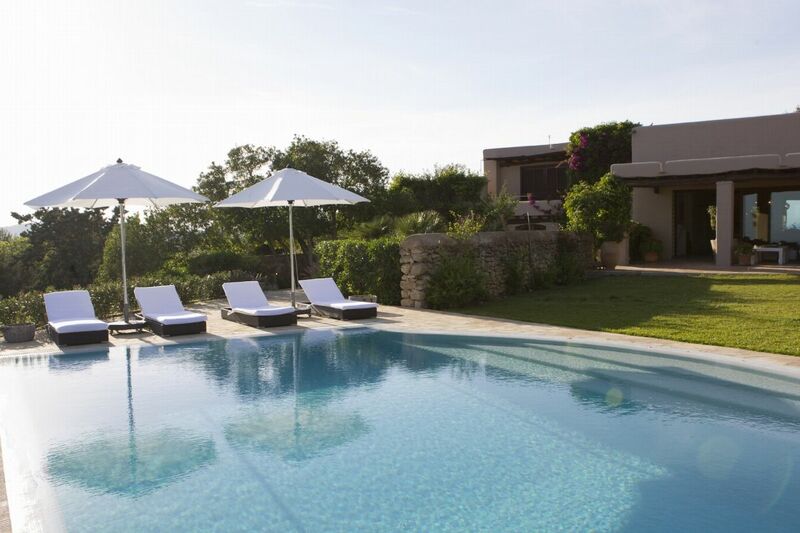 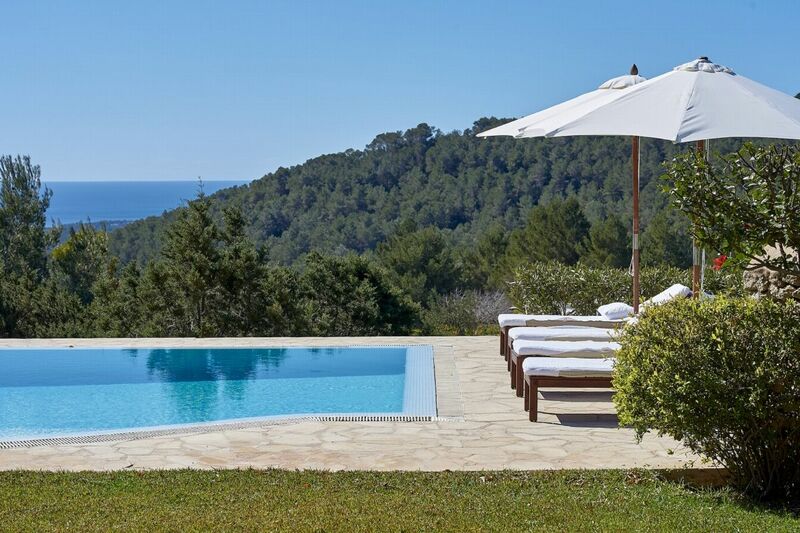 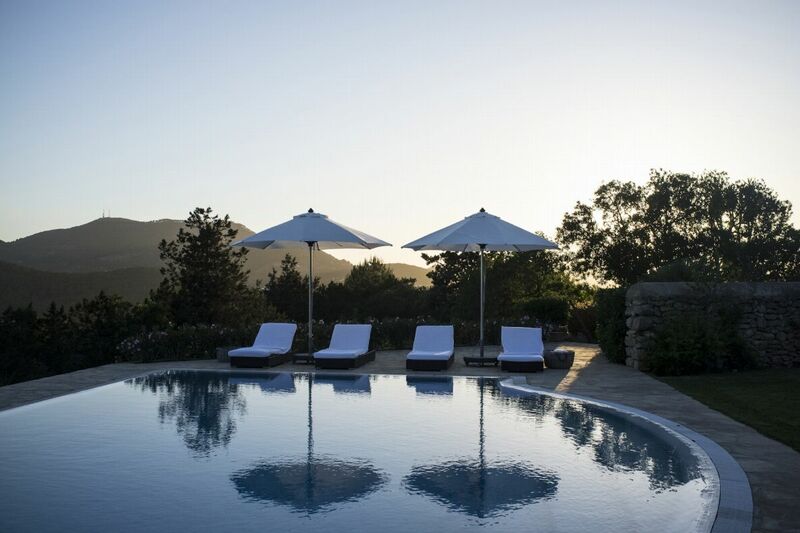 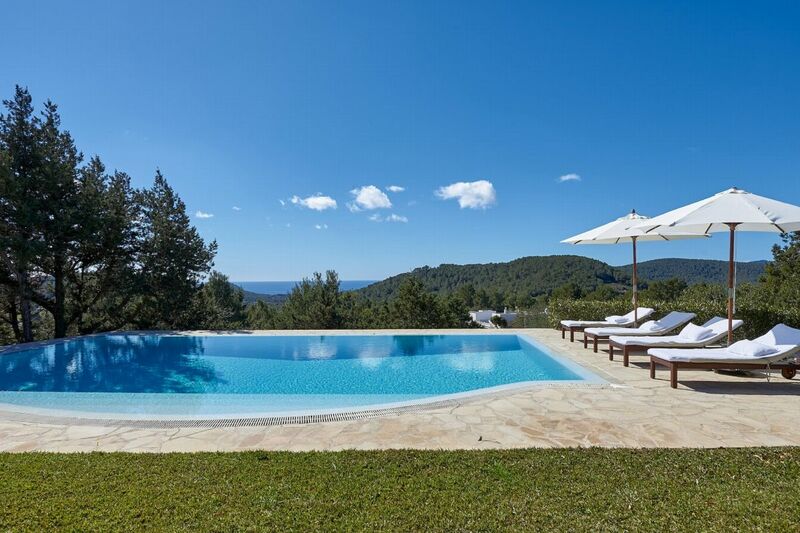 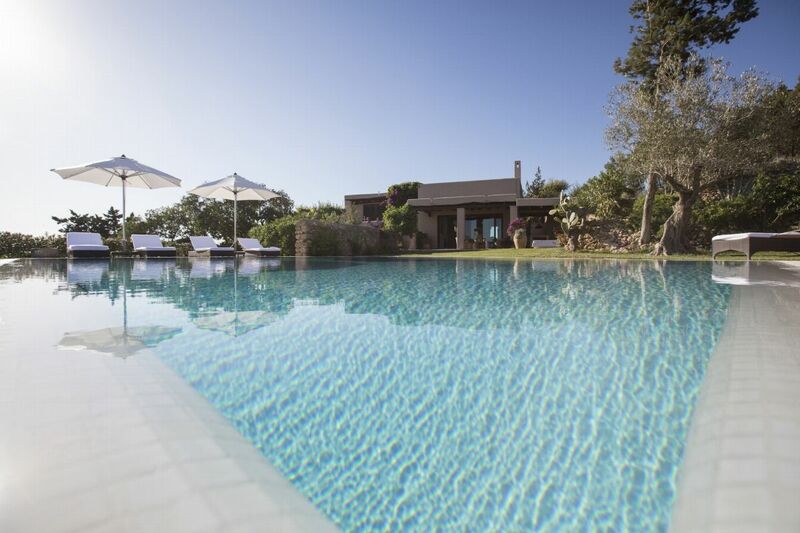 Laze around the 11m x 6m pool and enjoy the beautiful views across the hillsides all the way across to the sea. 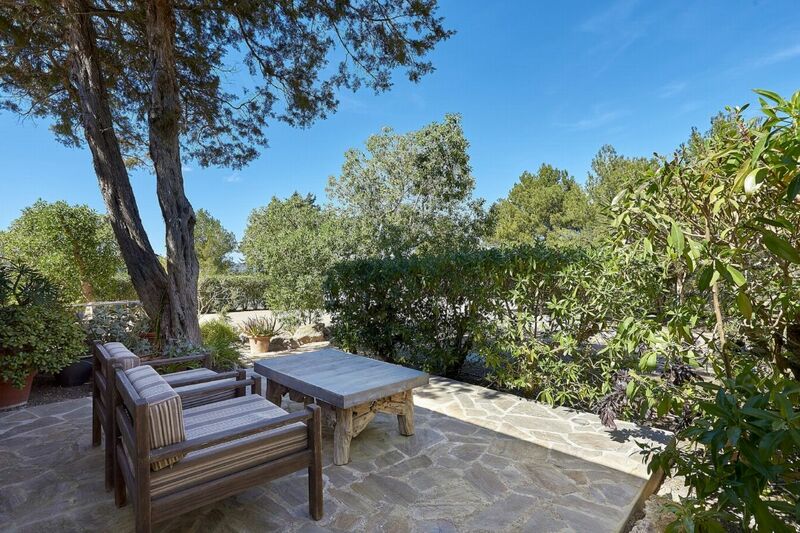 Lush, landscaped gardens wrap around the property, offering up a myriad of spaces to relax, from sheltered patios, open decks, or shaded love seats hidden amongst the greenery. 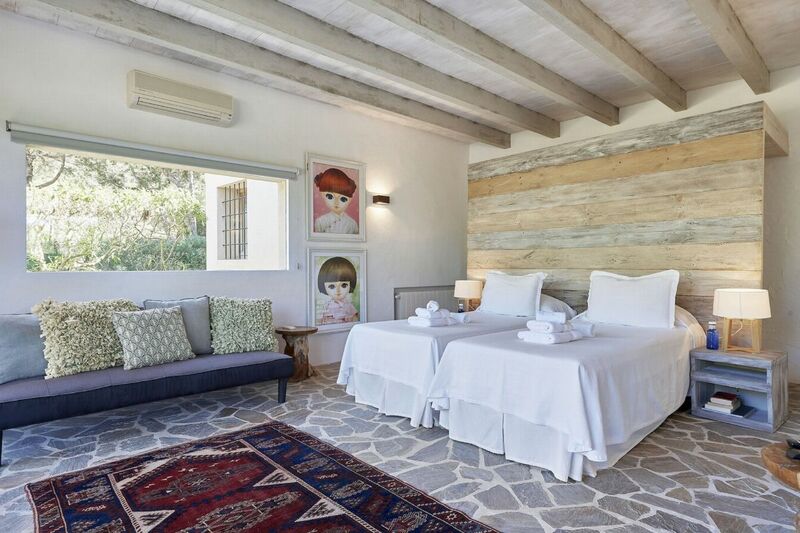 The 15,000m2 grounds guarantee privacy and make this property perfect for families â€“ there is plenty for the kids to explore. 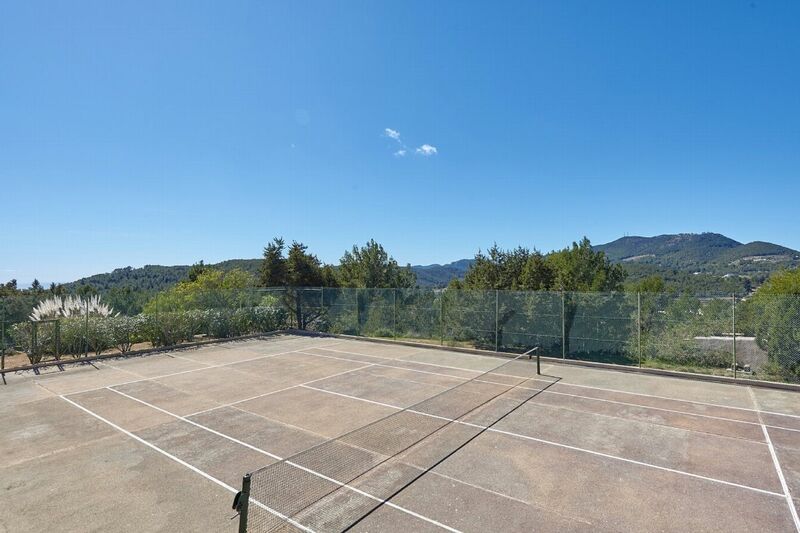 As well as the outdoor dining area, with gas barbeque, the extensive grounds are also home to a tennis court and table tennis table (rackets and paddles supplied). 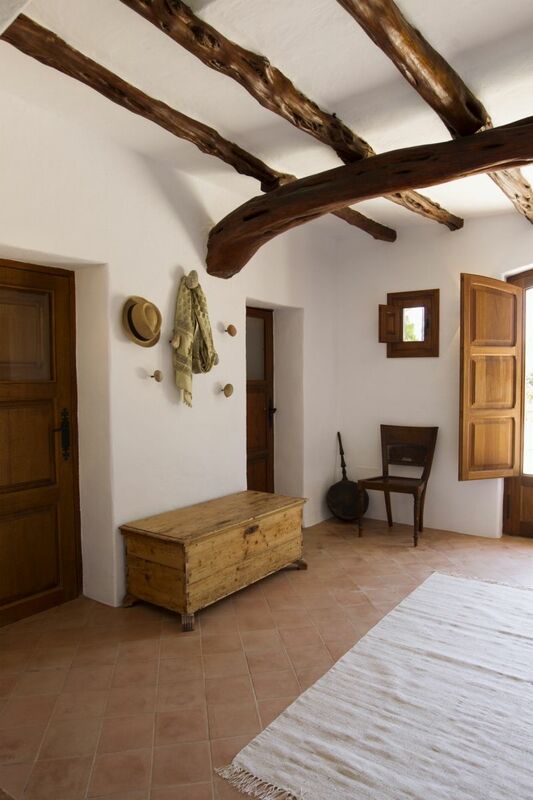 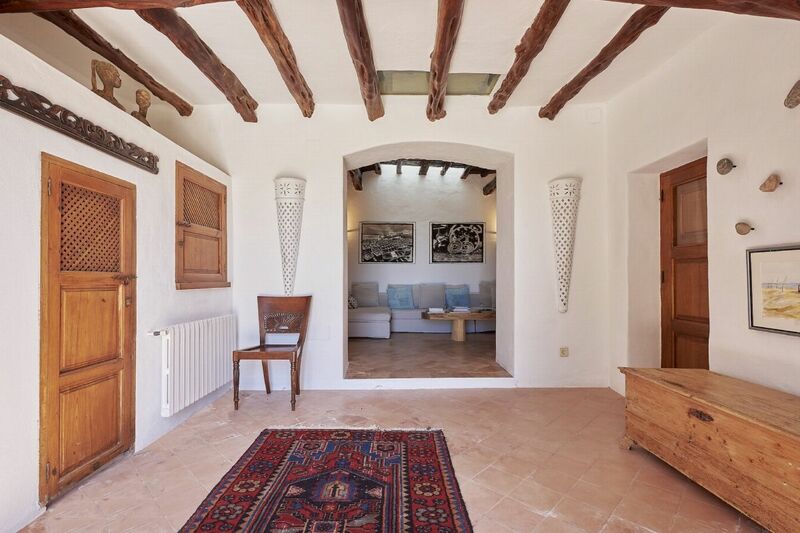 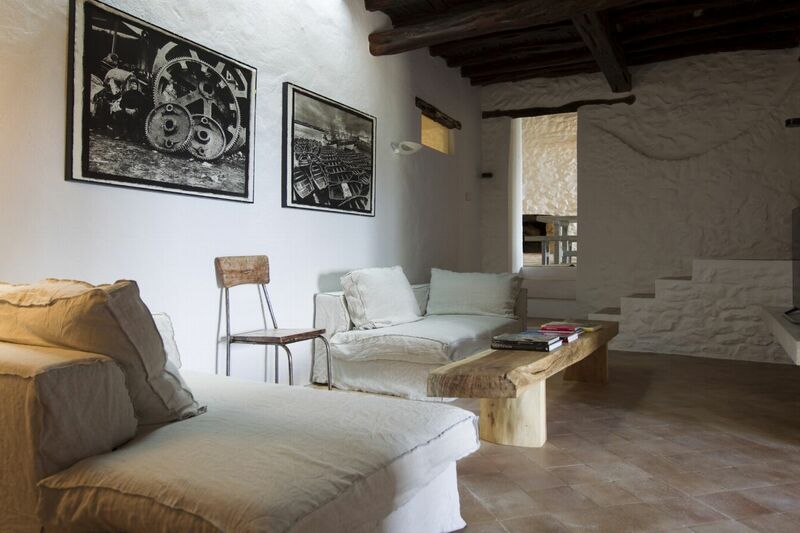 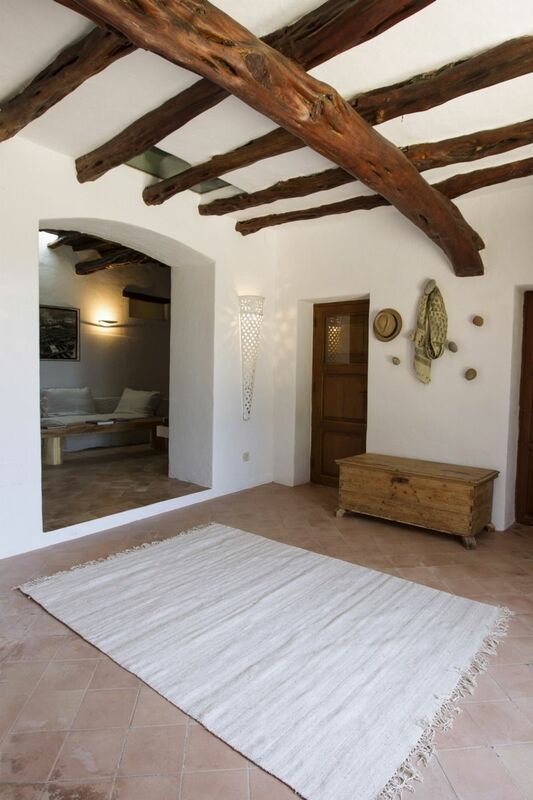 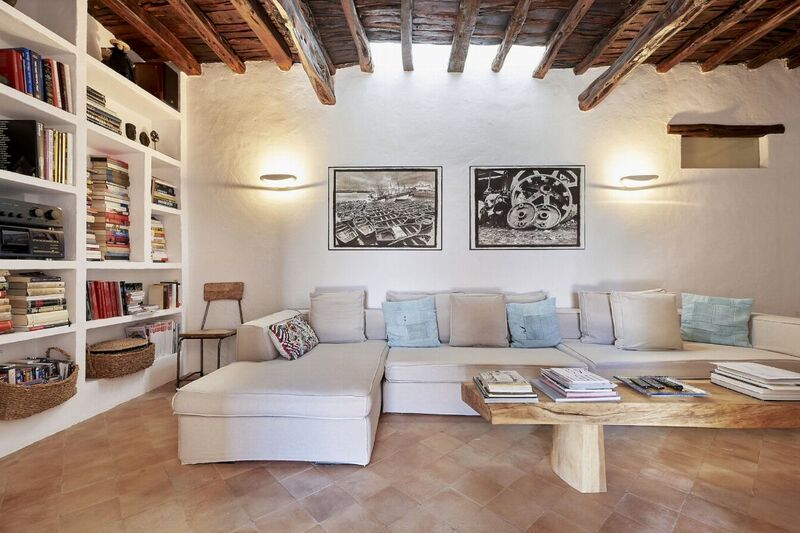 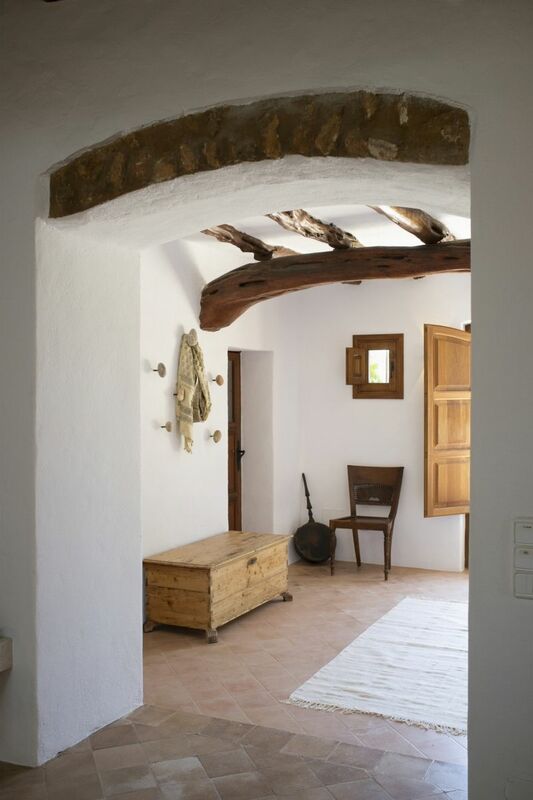 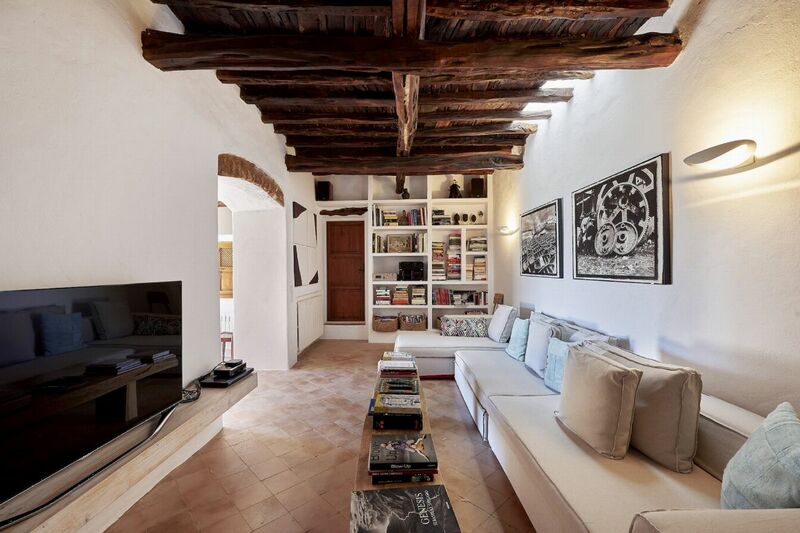 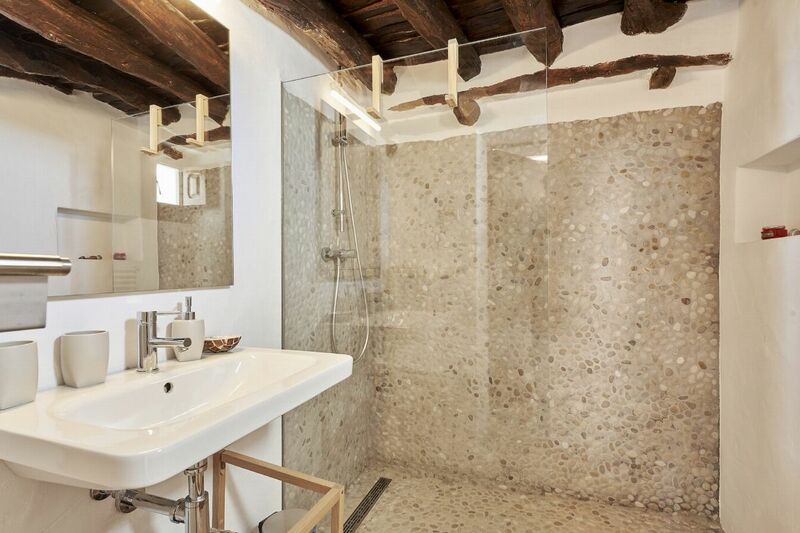 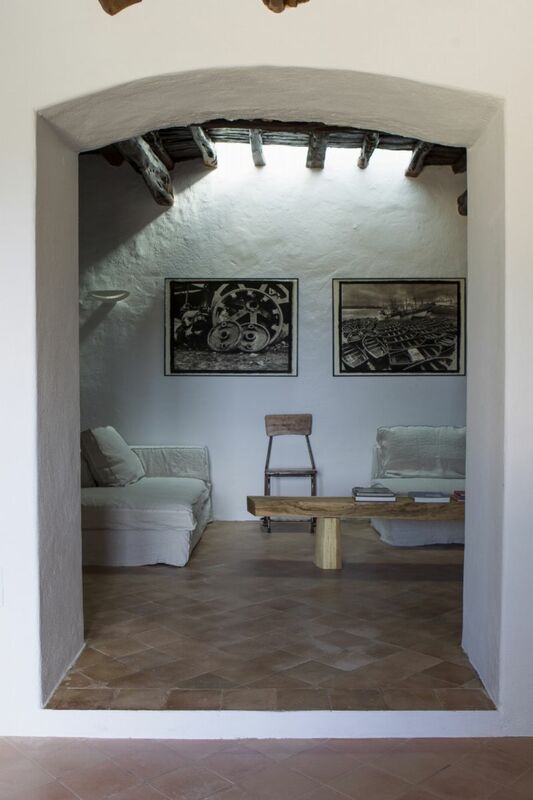 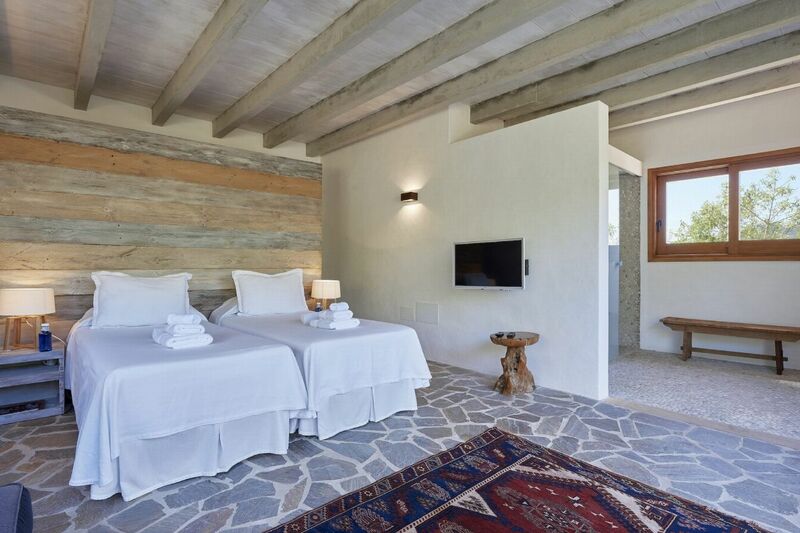 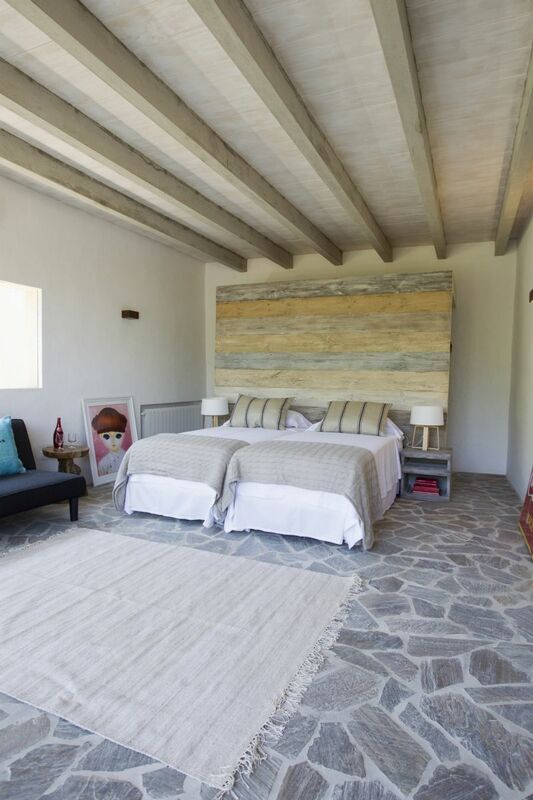 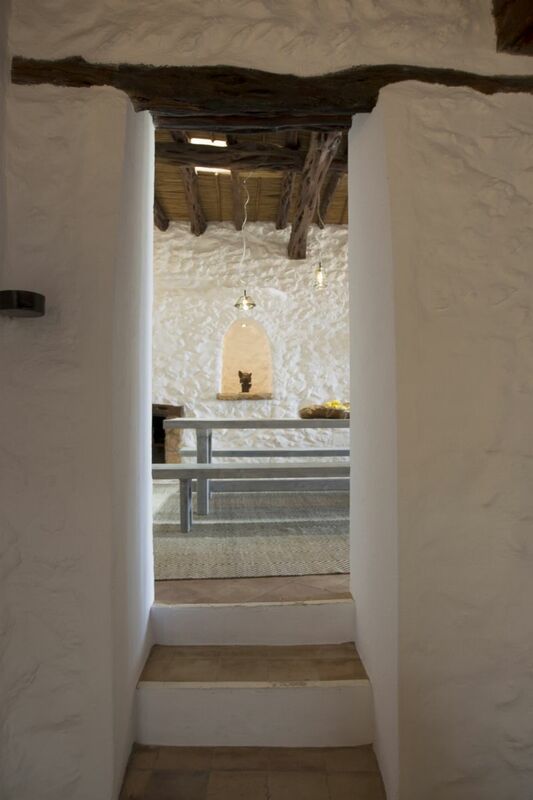 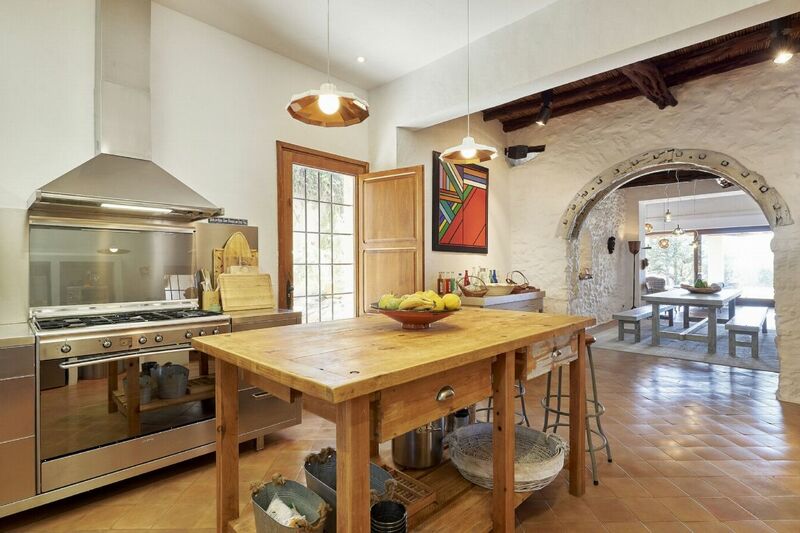 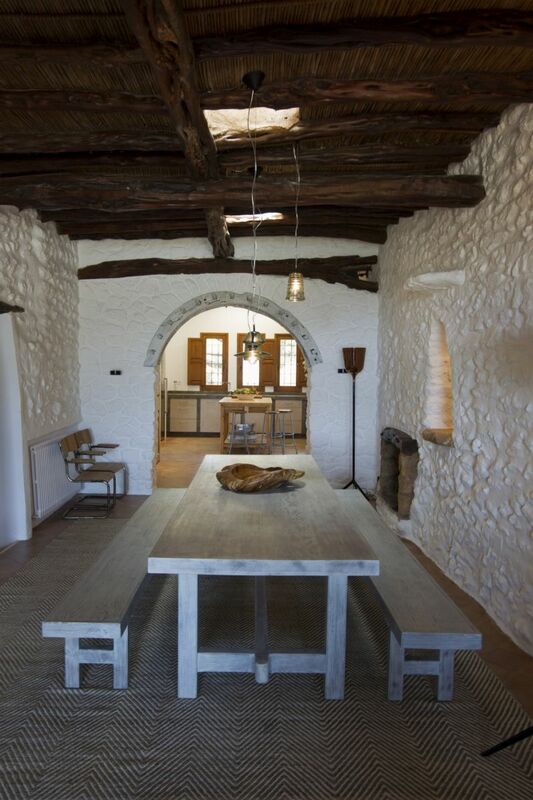 The interior is a cool collection of gnarled wood beams, natural stone and terracotta. 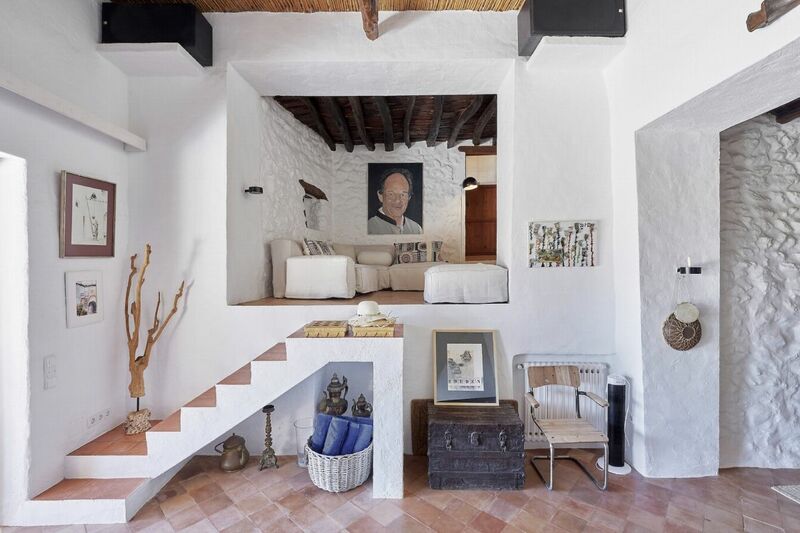 The white-painted walls and natural materials maximise the natural light to create a bright and welcoming home with plenty of nooks and crannies in which to curl up with a good book. 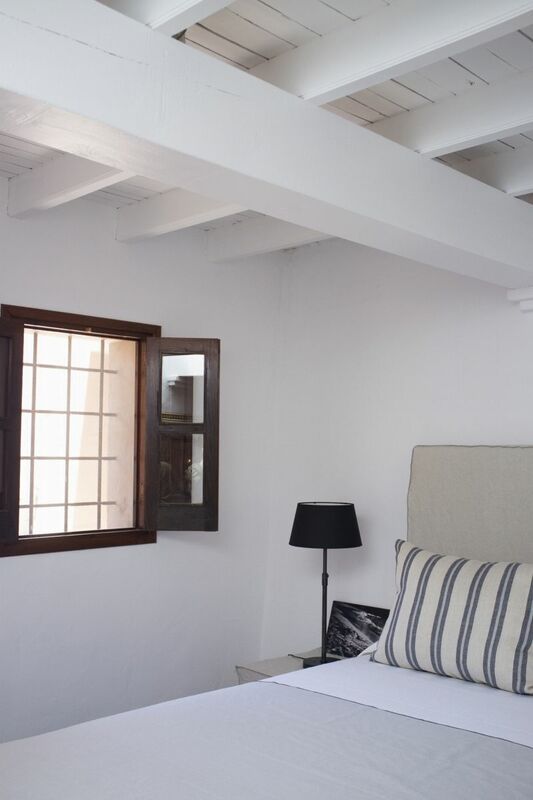 The light, airy feel extends to each of the bedrooms. 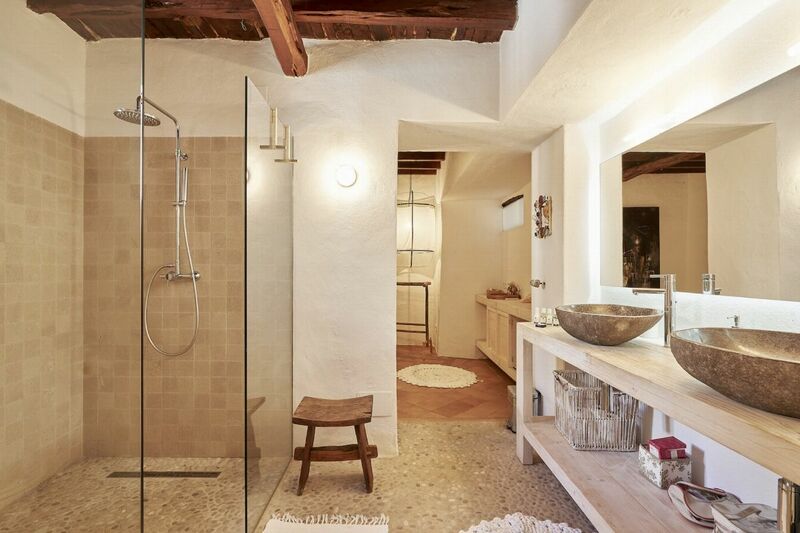 Each has its own en-suite with large walk-in shower or freestanding bath. 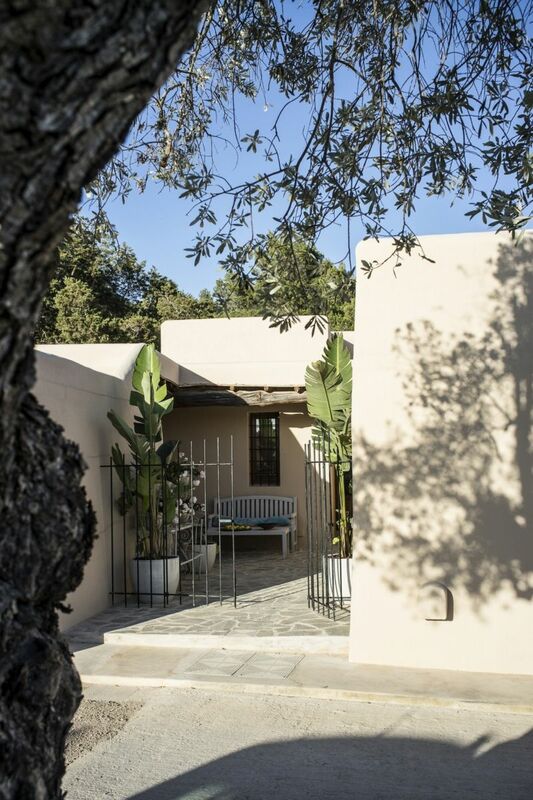 The three guest rooms have private access onto the courtyard or drive. 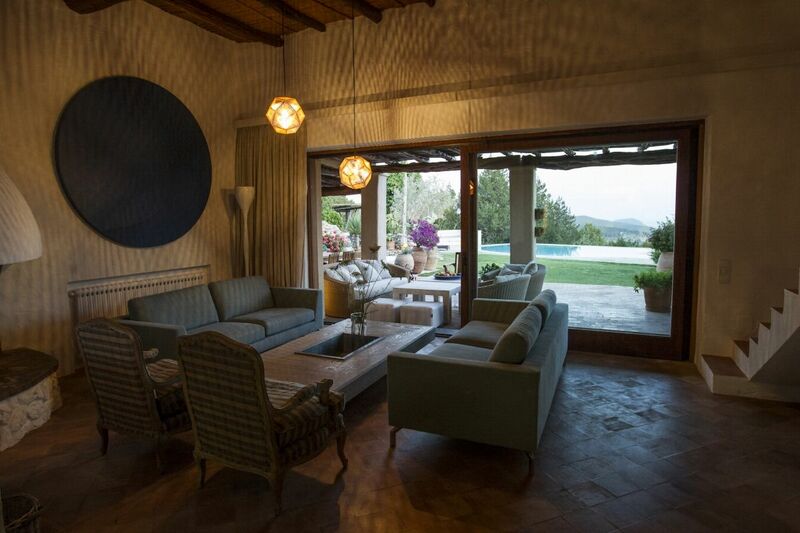 An idyllic property high up on the hillsides of San JosÃ©. 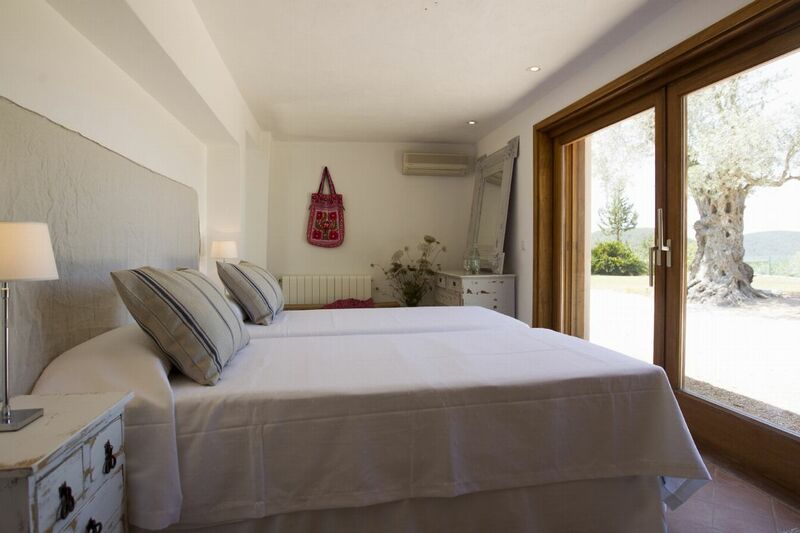 King size bed, en-suite bathroom with bath & shower, TV, air conditioning. 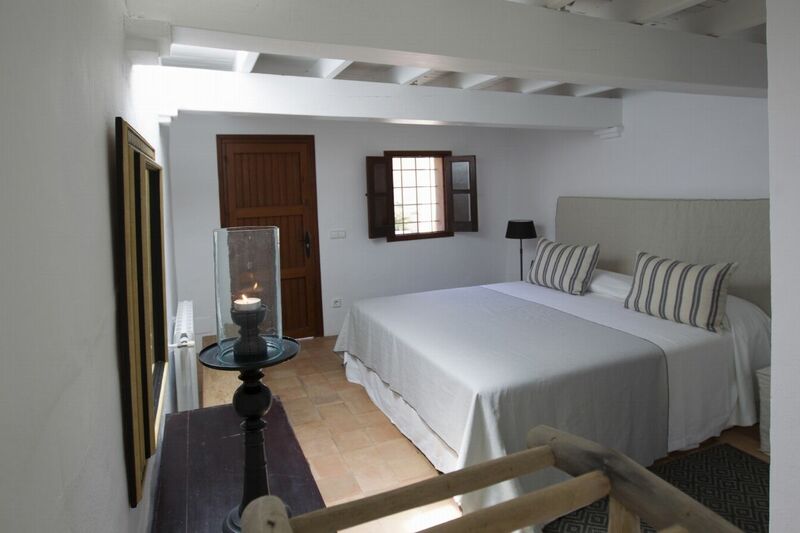 Double bed, en-suite bathroom with bath with shower, air conditioning. 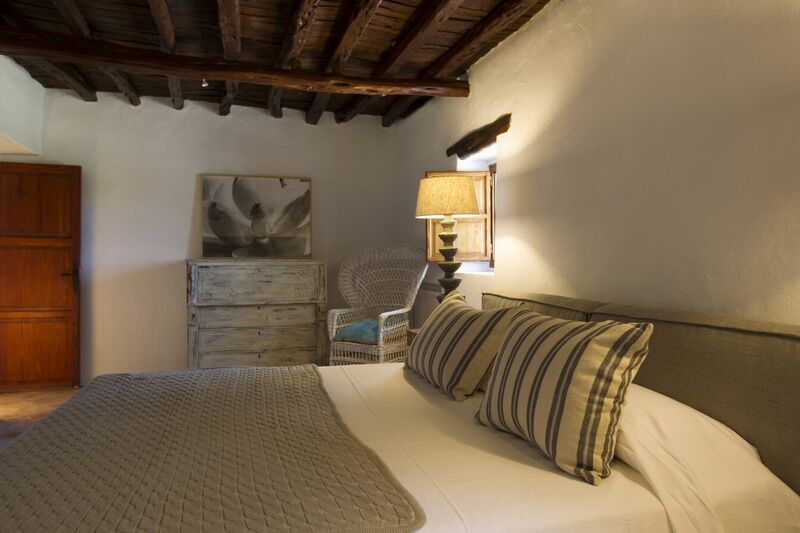 Double bed, en-suite bathroom with shower, air conditioning, a private entrance from the courtyard. 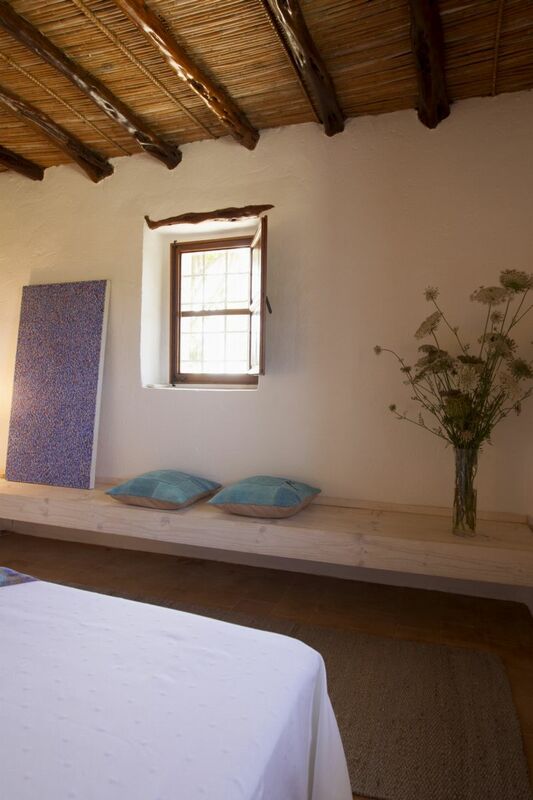 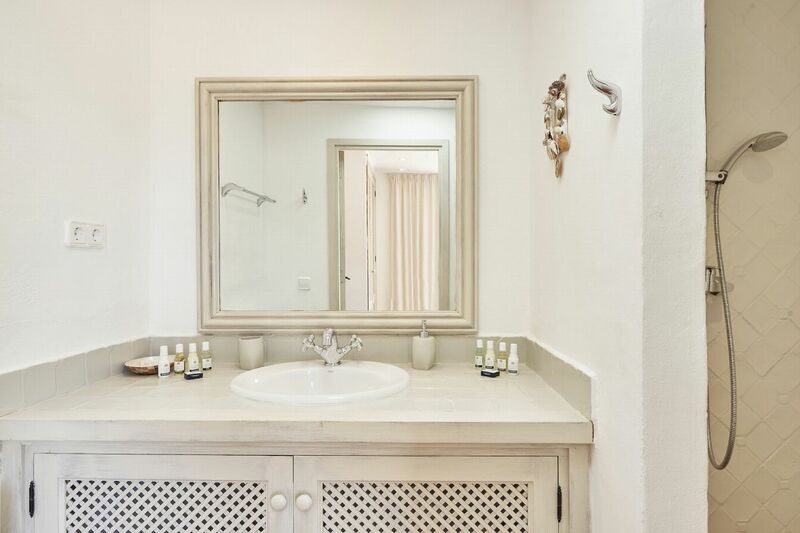 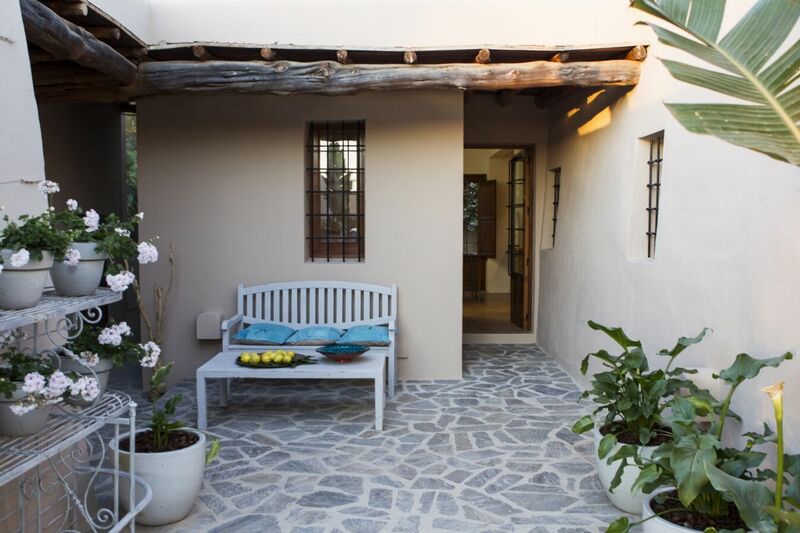 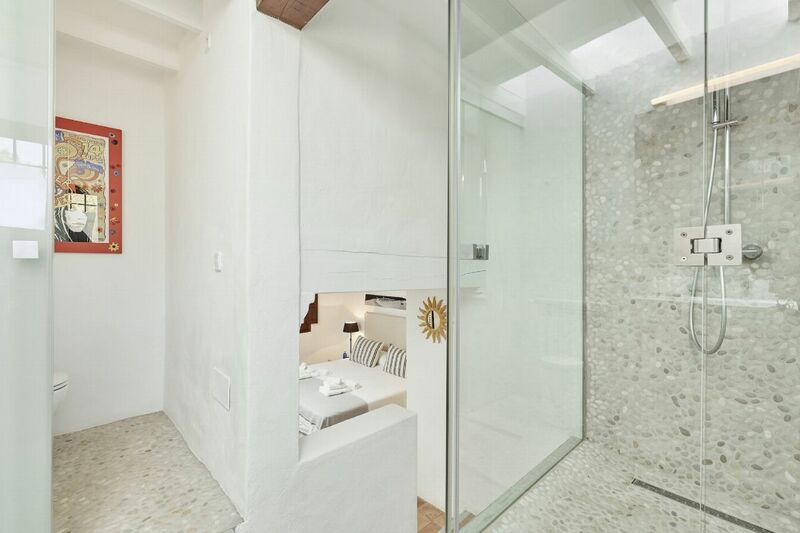 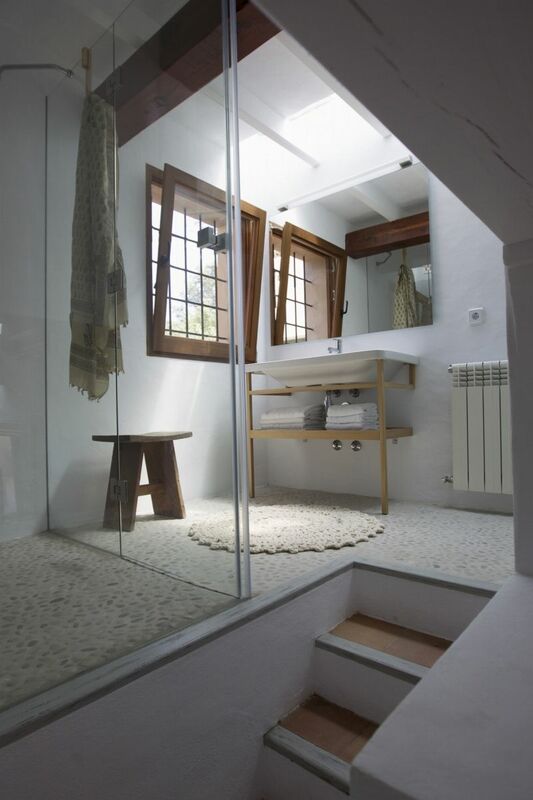 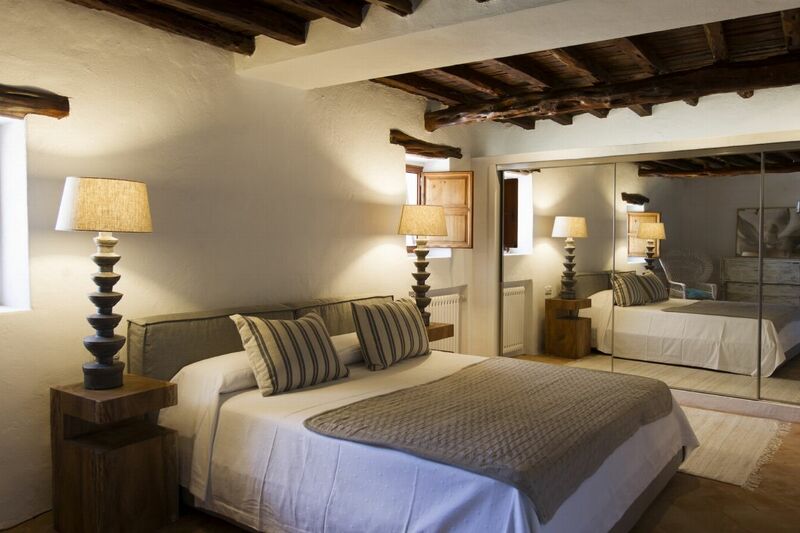 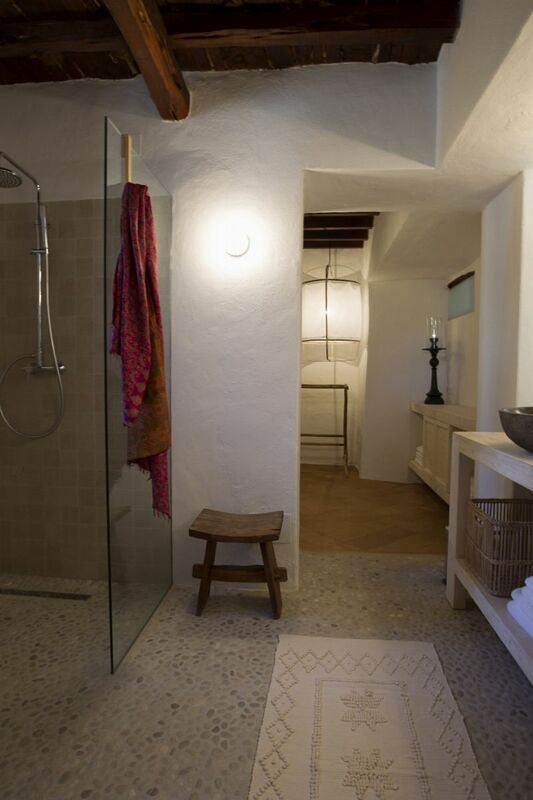 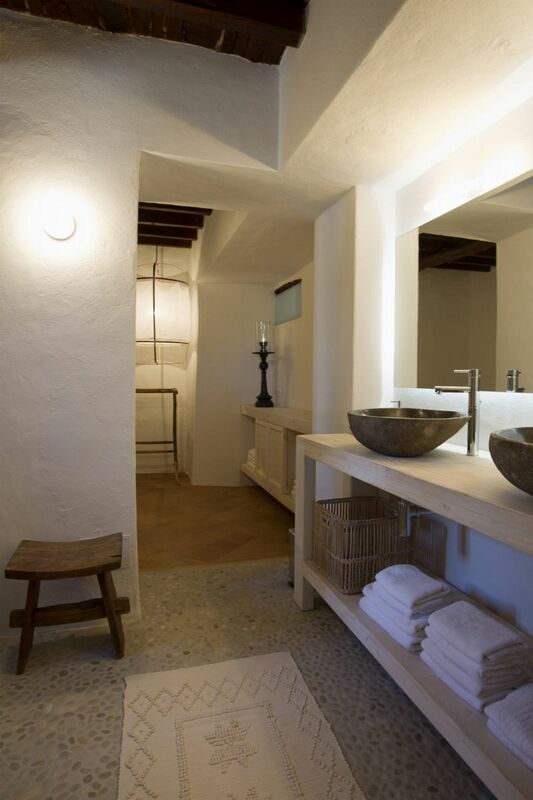 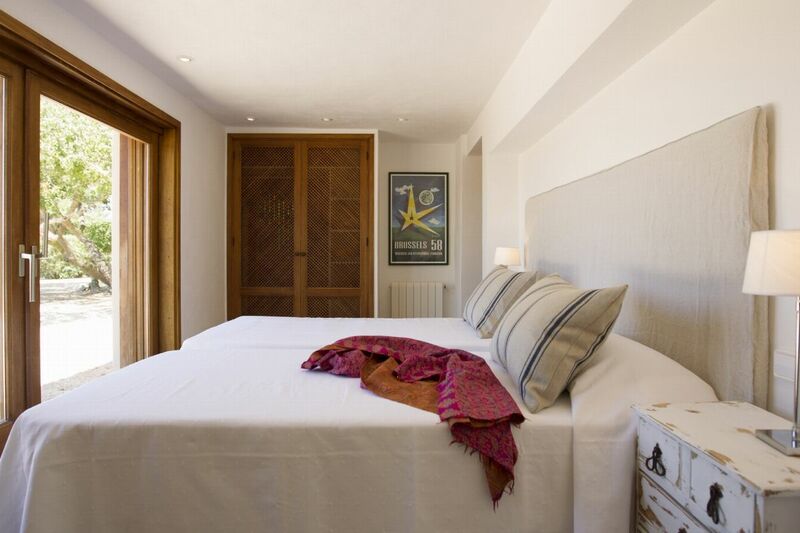 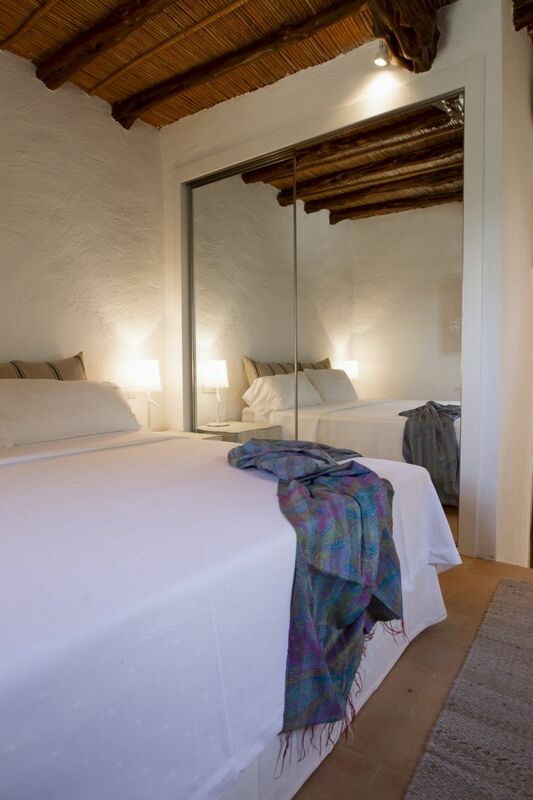 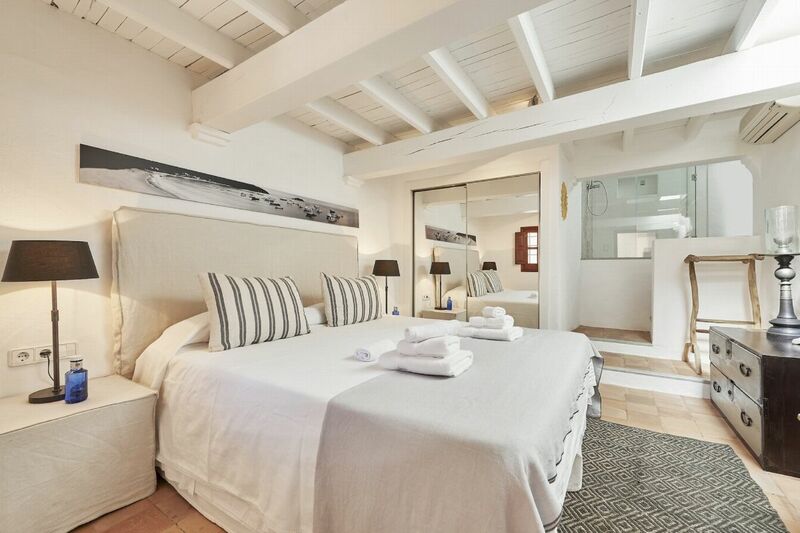 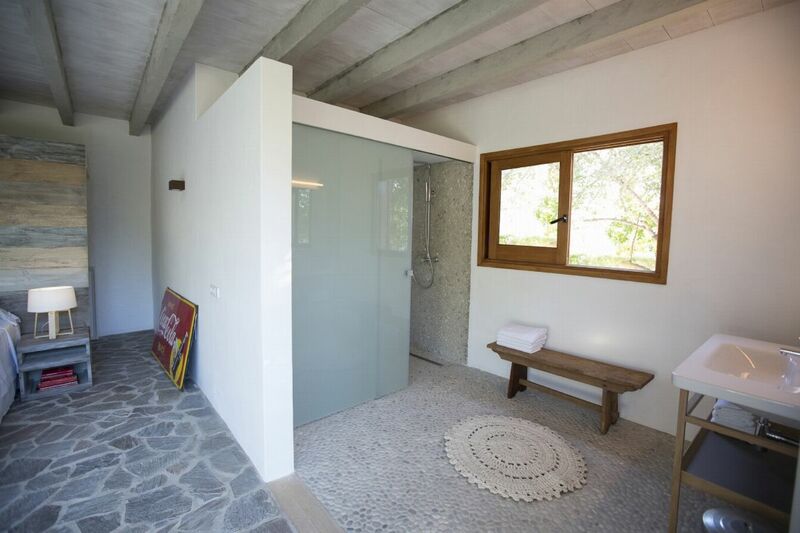 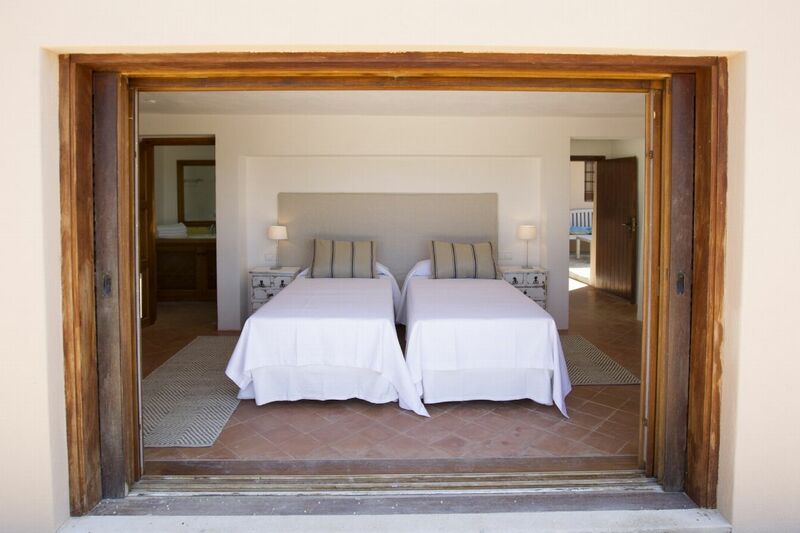 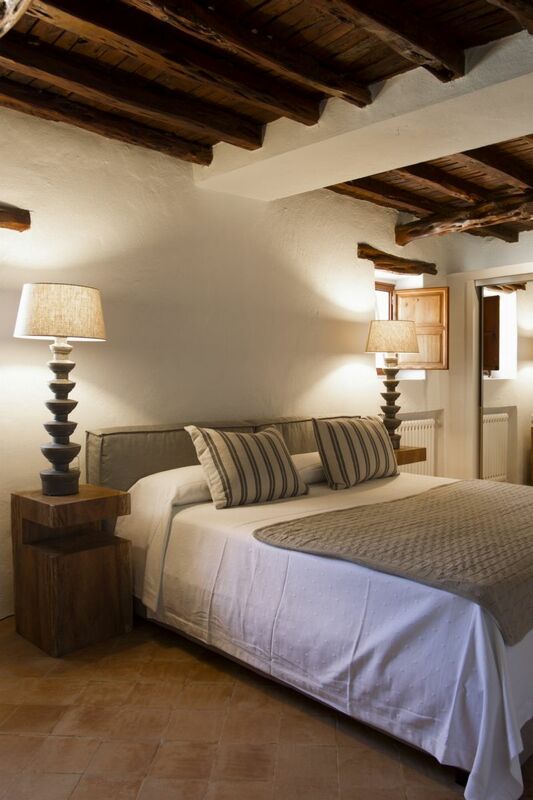 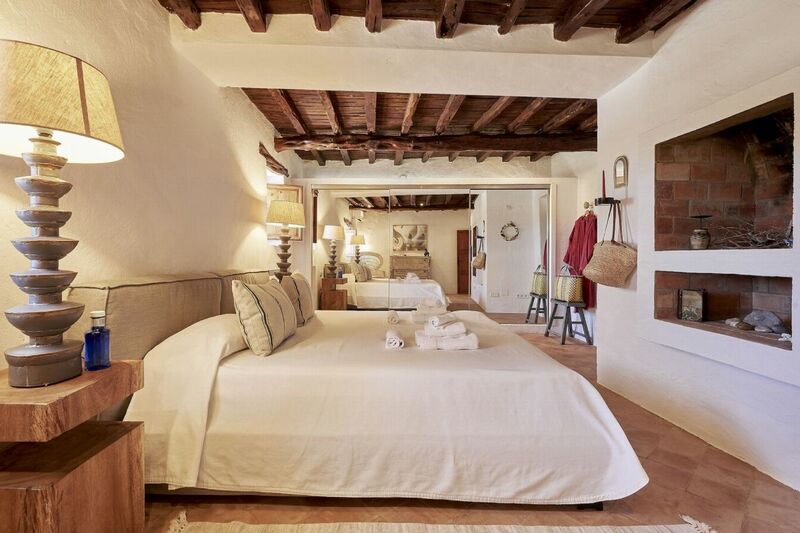 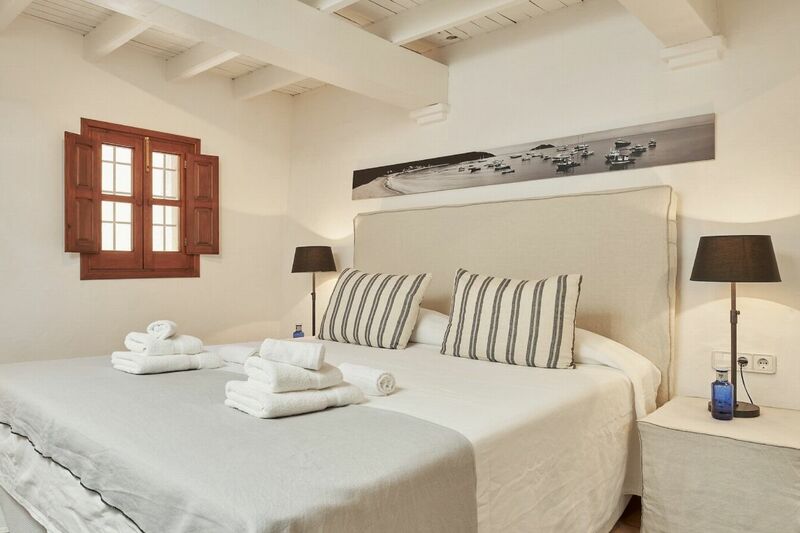 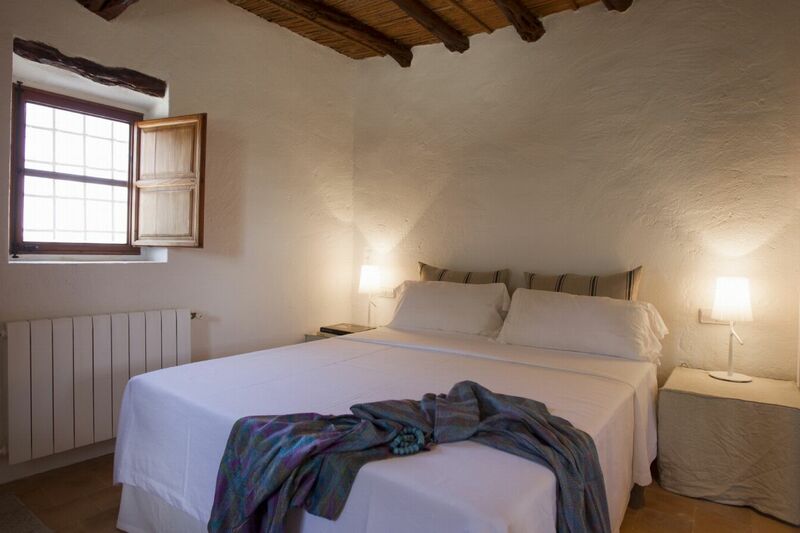 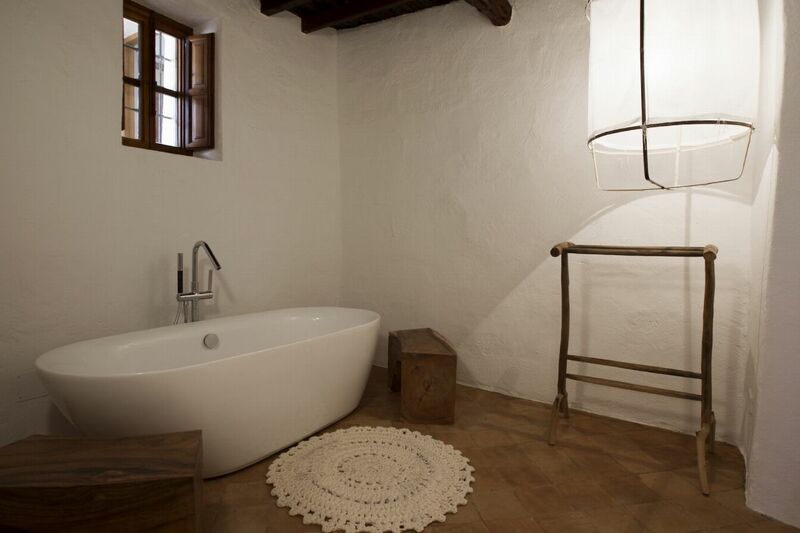 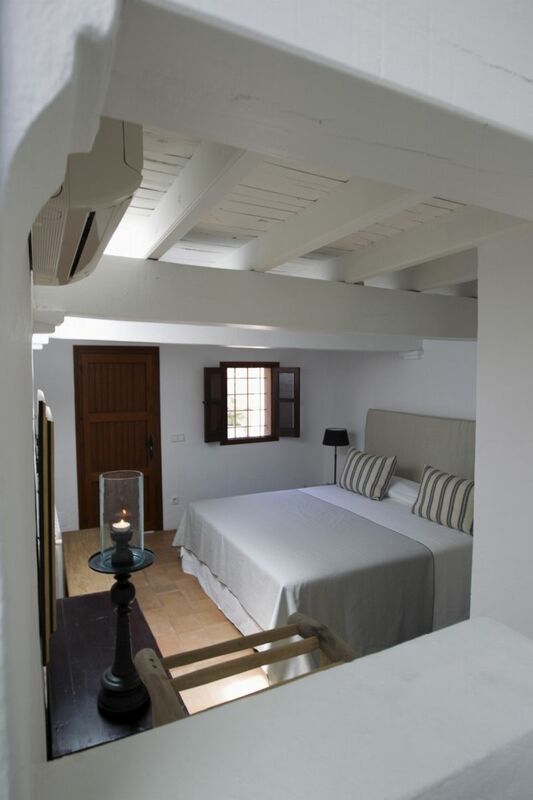 Twin beds, en-suite bathroom with shower, air conditioning, a private entrance from the courtyard. 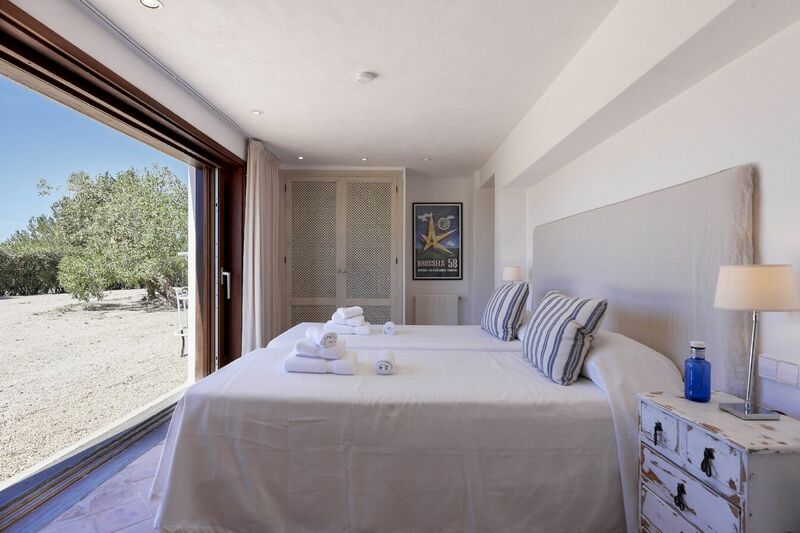 Double bed, en-suite bathroom with shower/bath, air conditioning, a private entrance from the drive.